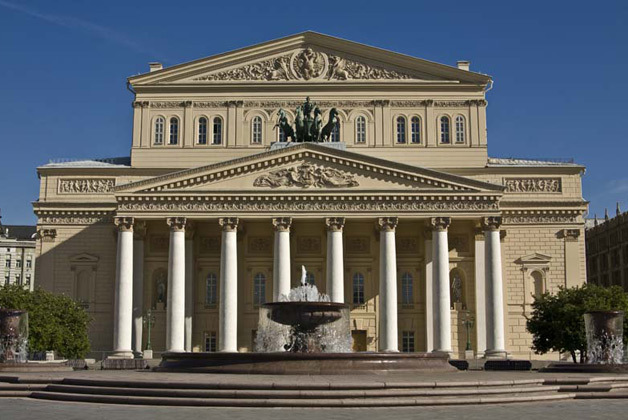 Get fully personalized tours fitting to your available time and individual tastes. The perfect travel app for your short city-trips. The perfect travel app with adjusted itineraries for your short city-break and business trips. If time is short for sightseeing and you wish a personal guidance, Farol is the solution for a great travel experience! 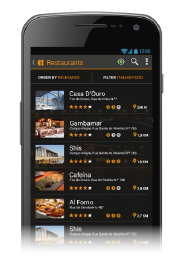 Forget roaming and internet costs, the app works 100% offline for your best convenience. Based on your profile and available time, this easy-to-use app automatically generates personalized sightseeing tours on a city matching your schedule. Take the best routes across town with the smart suggested tours. 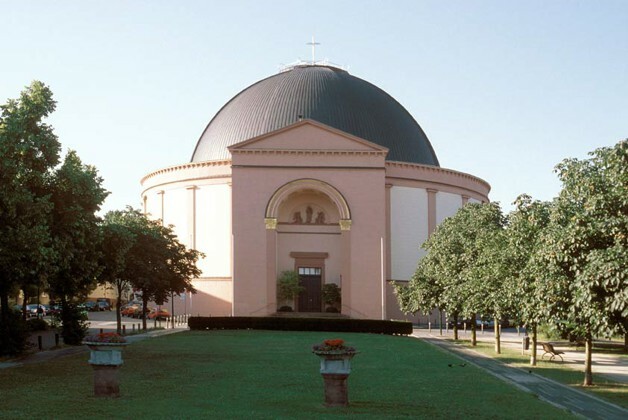 The most relevant spots in the city are available for your personal choosing. With Farol you will be able to find every place you're looking for, from that important monument or museum, to a fancy restaurant, a cosy coffee terrace, or simply a traditional shop. Everything with the highest quality content. Get detailed offline maps with geo-referenced spots and local utilities adjusted in real-time. 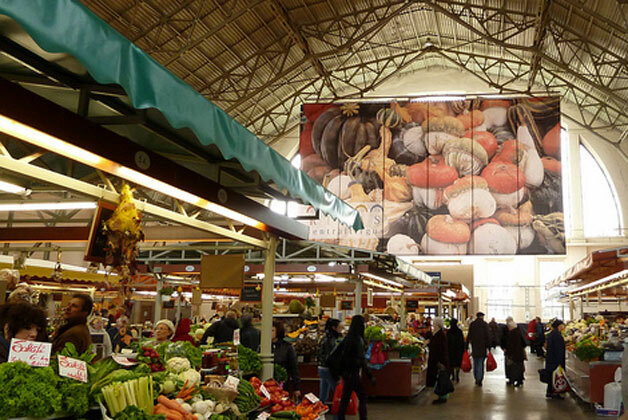 walk across town with your "travel buddy" and enjoy the suggested smart planned tours. 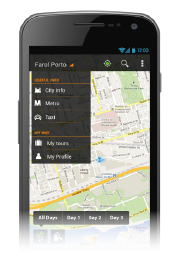 With Farol you will never get lost in a city. 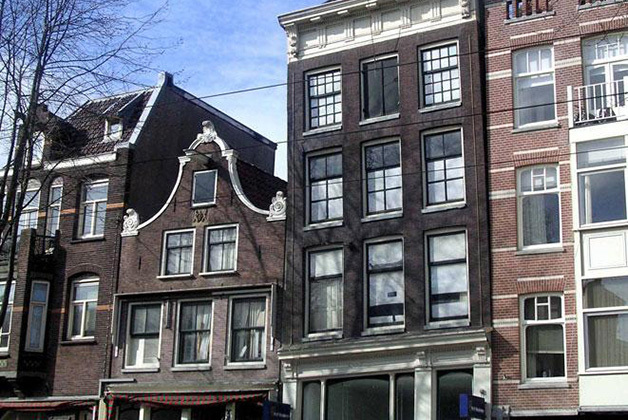 Amsterdam is an unbelievable diverse city: young, yet rich in tradition, exiting but also relaxing, active but unhurried and cosmopolitan with a small town feeling at the same time. 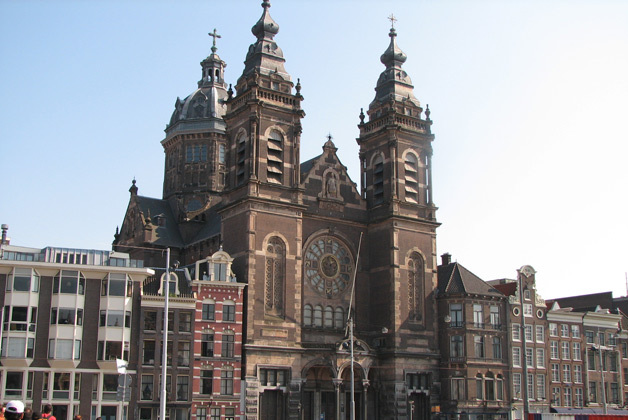 It is cultural capital of Netherlands with the highest concentration of historical monuments. 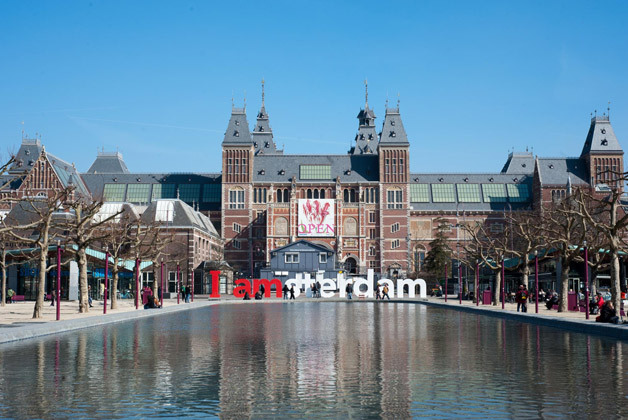 Actually, the city has the highest museum density in the world and is home to cultural highlights, such as the Van Gogh Museum, Anne Frank House, Hermitage Amsterdam and the Rijksmuseum with Rembrandt’s world-famous Nightwatch. But Amsterdam manages to offer even more. 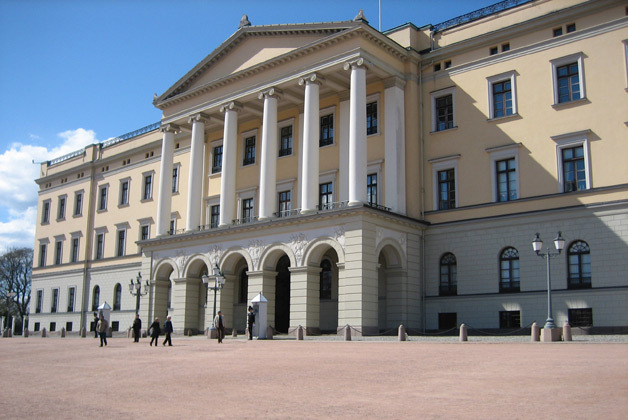 It is one of the most bicycle-friendly metropolis in the world. On this is reflected the worldwide know mentality of the Amsterdamers, their free spirit and their proverbial tolerance. This friendly environment of acceptance is an attraction of its own. No matter what kind of tourist you are, from all the diversity Amsterdam attracts, be sure to take Farol Amsterdam to guide you through narrow lanes and along canals. 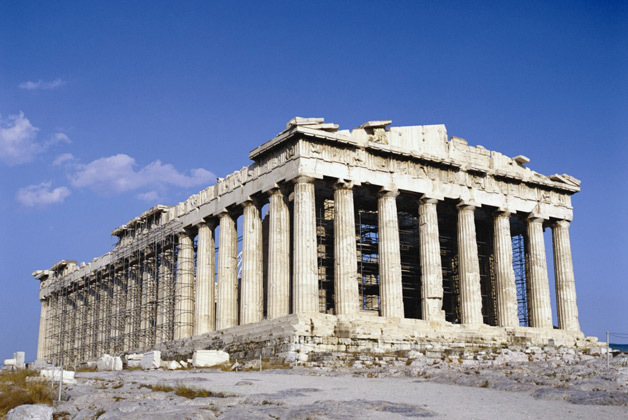 The enchanting capital of Greece is a city worshipped by gods and people. 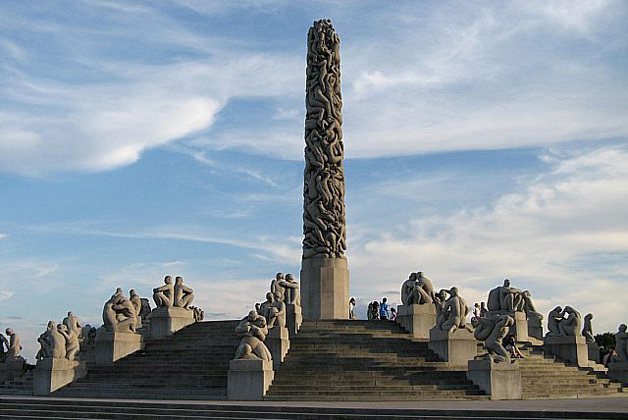 It was constantly inhabited since Neolithic Age, it met times of bloom and decline and now it carries the most glorious history in the world. 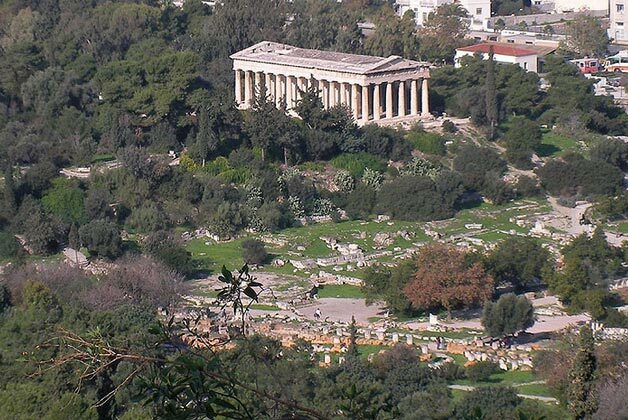 Athens has been the birthplace of the most important civilization of ancient world, of democracy and of most of the wise men of ancient times. 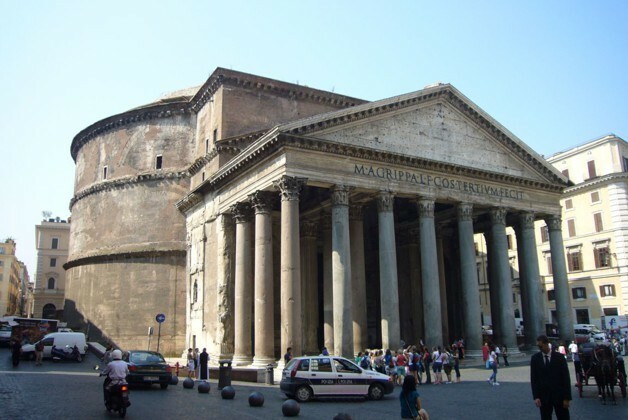 The heritage this metropolis carries is not possible to measure: it has some of the most important archaeological monuments on Earth and many imposing neoclassic buildings; and its moral values and civilization surpassed the city limits and became the ground of western civilization. 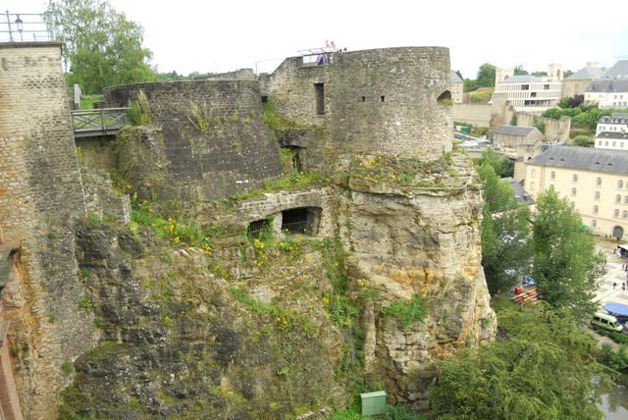 It is the oldest city in Europe, yet still in a state of transition. 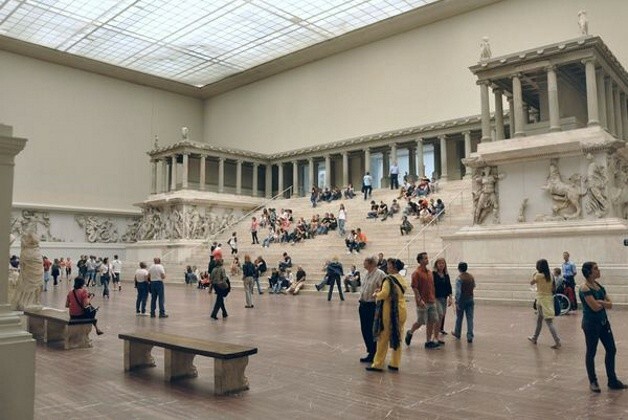 The iconic Parthenon temple watches the modern metropolis evolve with its vibrant street life no matter which crisis. It remains a city of contradictions and it can be discovered by walking on the famous different neighborhoods coexisting there. 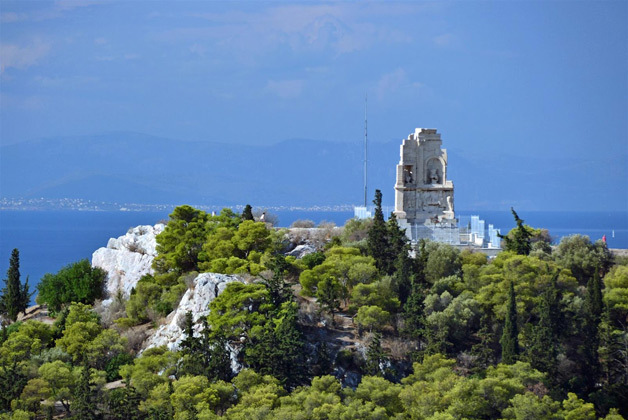 Farol Athens will help you on this exciting task, by guiding you to the right spots and giving you more time to enjoy the relaxed Greek lifestyle. 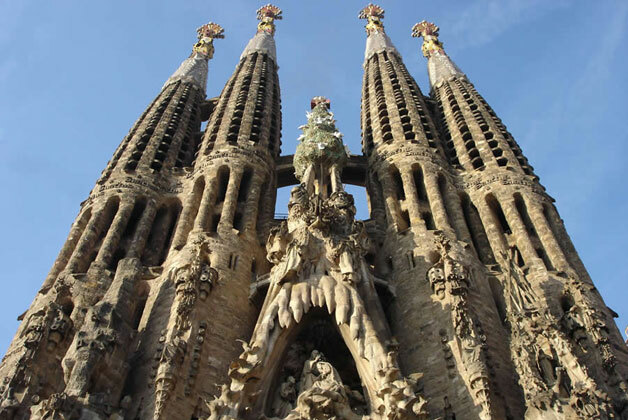 Located directly on the northeastern Mediterranean coast of Spain, Barcelona is a dynamic metropolis with an open personality. It is the cradle of many cultures and a witness to major transformations – a modernist yet millennial city. 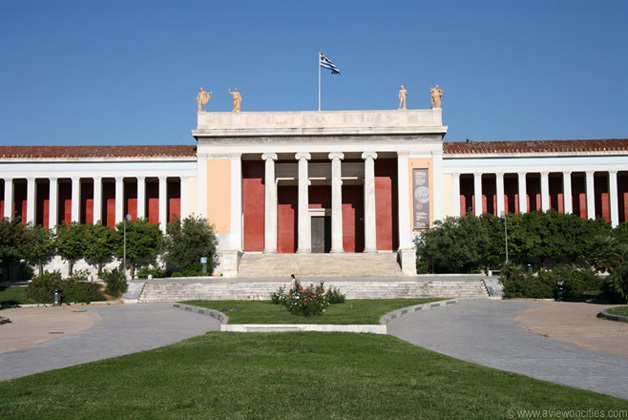 It has always been a center of attraction for artists – such as Pablo Picasso and Juan Miró – and, especially since the Olympic Games in 1992, also a massive touristic center. 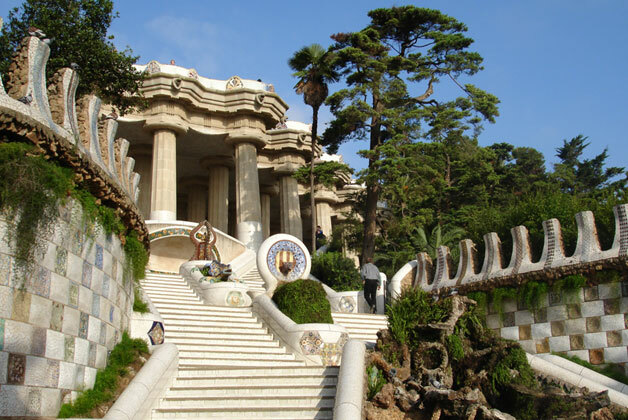 In the home of Gaudi you will find fanciful architecture and never ending culture, but not only. 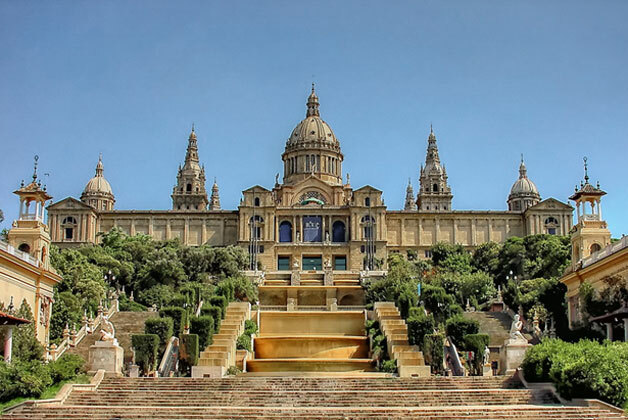 Barcelona has hip restaurants, sparkling nightlife, friendly and stylish population living a unique life style and long periods of pleasant sunny climate. 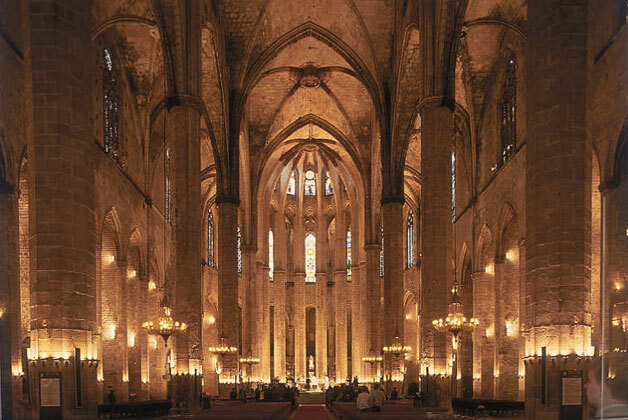 Whether you come here for the architecture, for the art, for the beaches, for the football, for the Festa de Gràcia or for the tapas, Farol Barcelona will guide you fast and safely to the very best! 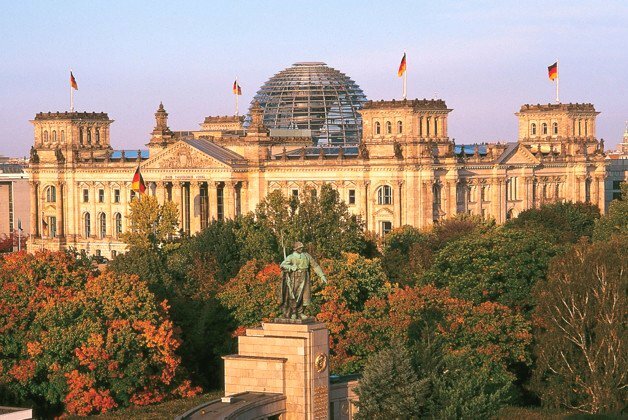 Berlin is a city of contrast and fusion: East meets West, history meets modernity, art meets underground. 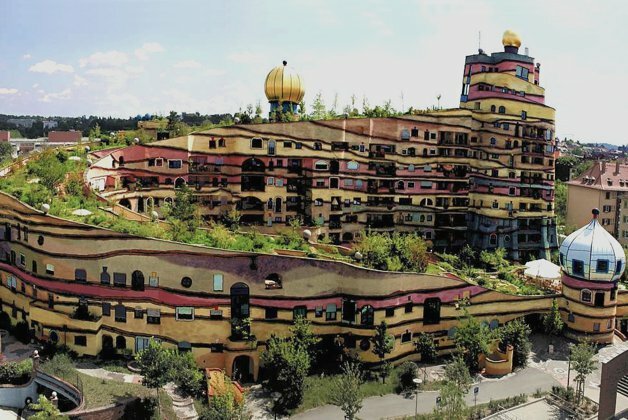 As a European centre of culture and art, countless people are attracted to Berlin’s unique cultural vibrancy, sizzling creativity and raw charm. Residents and visitors alike are fascinated by the traces of an eventful past that can be encountered almost everywhere in the city. 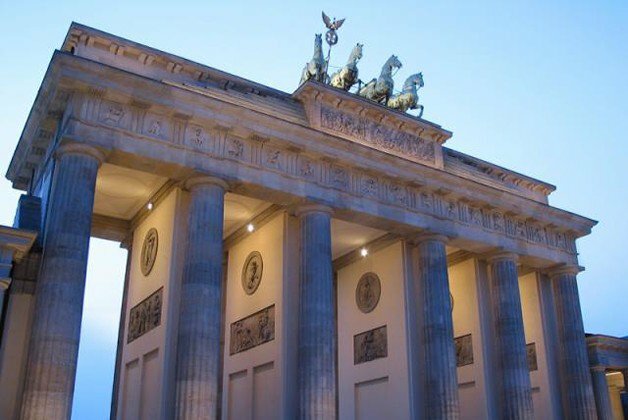 Enjoy Berlin’s renowned museums, its monuments and memorials, its concert halls and opera houses, its theatres, its pubs and clubs. 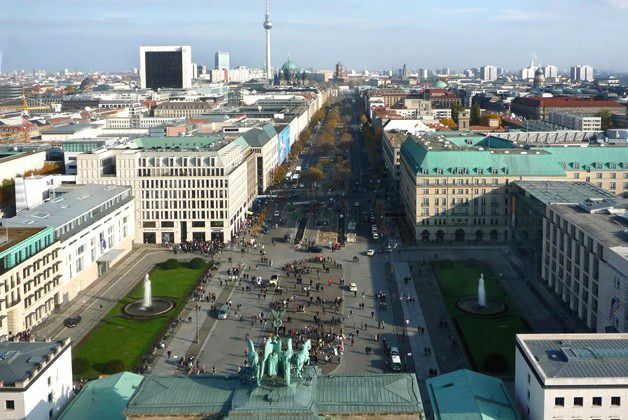 Farol Berlin travel guide will plan your journey and make your trip to the biggest city in Germany an unforgettable moment! 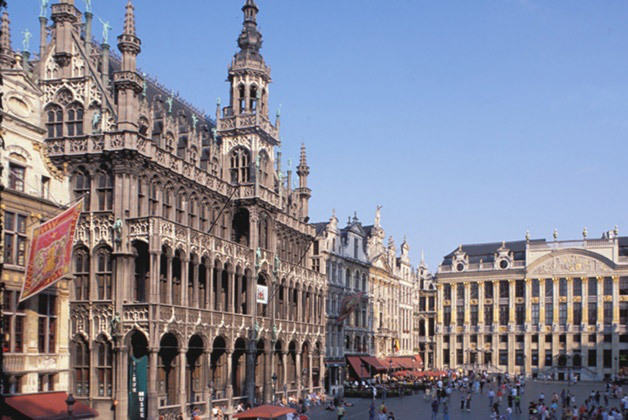 Historic and contemporary city, gastronomic and shopping paradise, capital of Belgium and the seat of the European Commission, Brussels is a mix of different cultures and a place where a different language can be heard on every street corner. 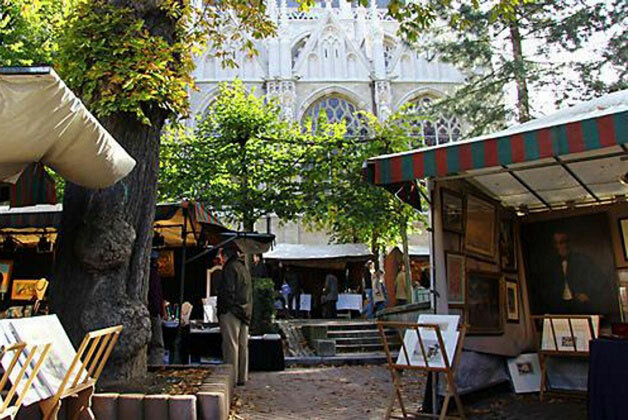 The city is an ideal short-break destination and with other Flemish historic cities nearby, it's the perfect starting point for an exciting getaway. 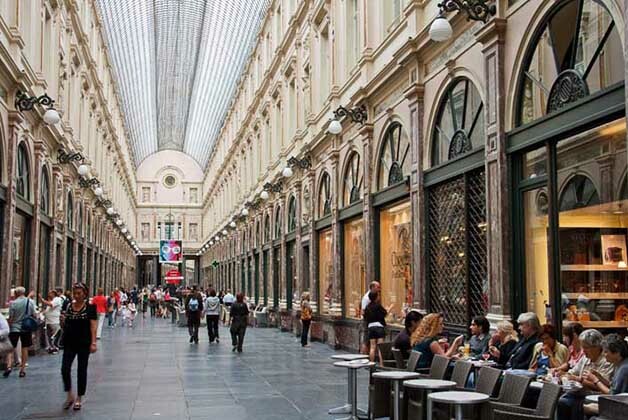 In Brussels you will find hundreds of different kinds of beers, the finest of Belgian chocolate, the inimitable Belgian fry and much more, are not to be left undiscovered. 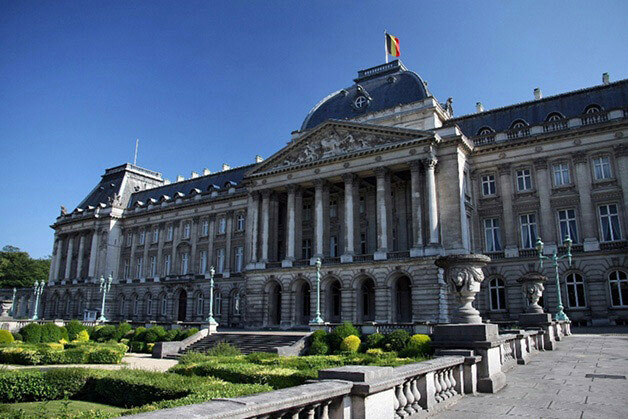 While travelling to Brussels for a conference or a meeting at “Berlaymont”, or simply for a pleasant weekend break trip, Farol Brussels will be always next to you! 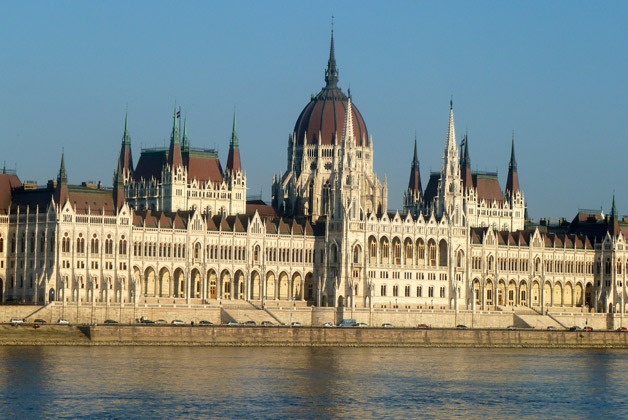 Straddling the Danube River, with the Buda Hills the west bank and the Pest on the east, Budapest is cited as one of the most beautiful cities in Europe. 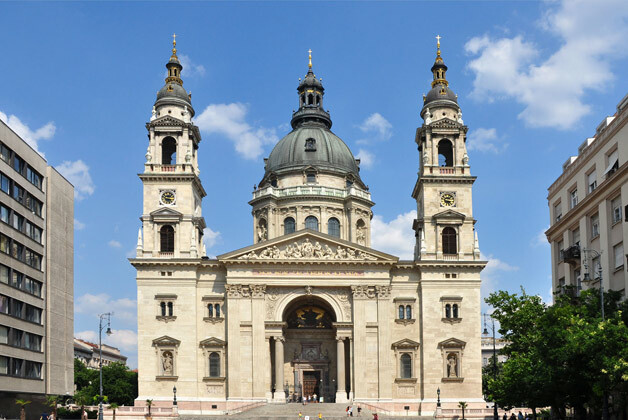 The Hungary capital gifts travellers with a unique ambience influenced by Viennese and Parisian architecture and a fin-de-siècle feel to it. 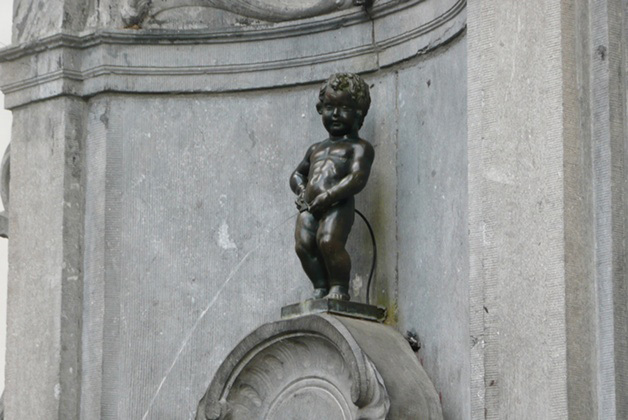 On this extensive World Heritage Site nearly every building has some interesting or unusual detail. It has also the world's largest thermal water cave system, which results on an exceptionally rich offer of natural thermal baths. 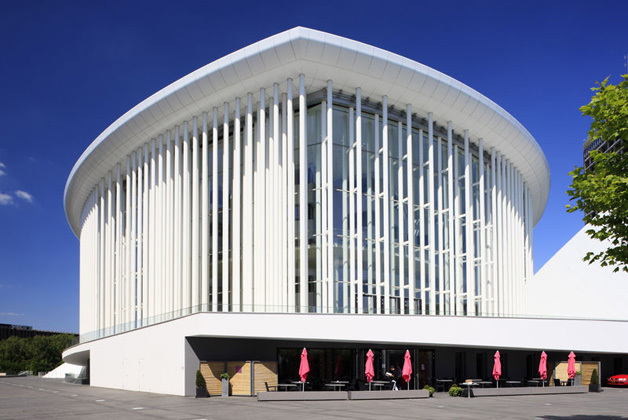 Other highlight is the unique, youthful atmosphere, world-class classical music scene as well as a pulsating nightlife increasingly appreciated among European youth. 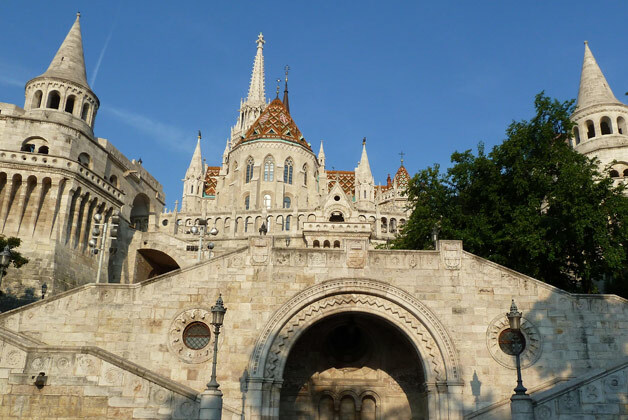 For all these reasons and much more, Budapest is one of Europe's most delightful and enjoyable cities. 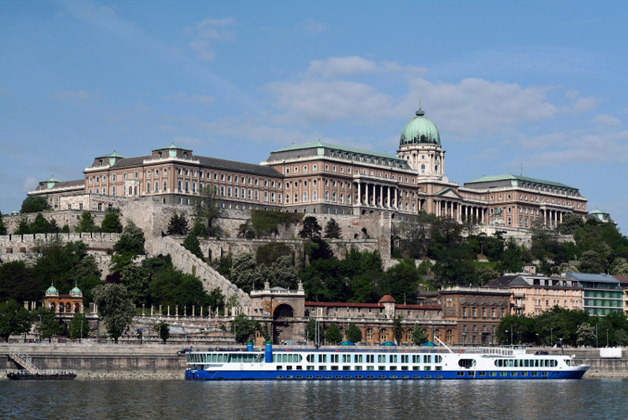 Get to know it with your new buddy Farol Budapest! 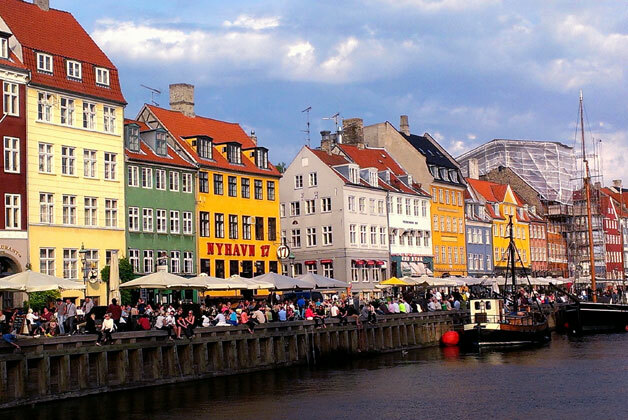 A cultural and geographic link between mainland Europe and Scandinavia, Copenhagen is one of Europe's oldest capitals, and Denmark itself is the country with the oldest monarchy in the world. 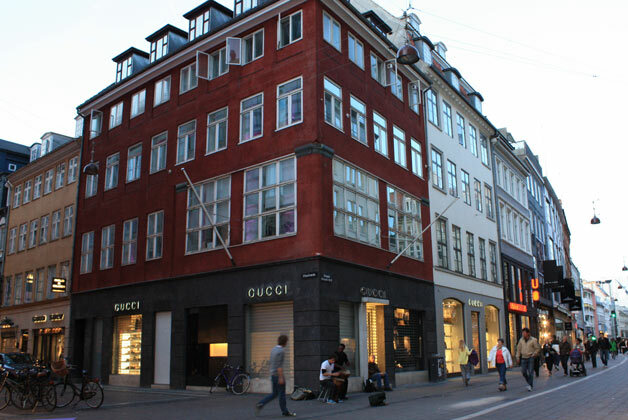 In this historical centre, where once Hans Christian Anderson and Søren Kierkegaard lived, you will find the best design, architecture and fashion and also notice the culinary revolution that has taken place here over the last decade. 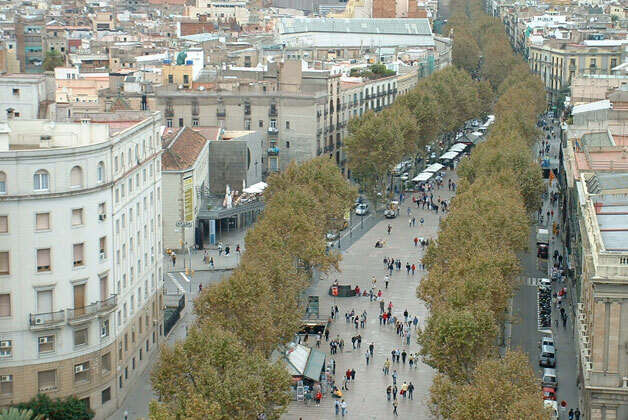 The most bicycle friendly city in the world is also known for figuring systematically the ‘most liveable city’ list. It is big enough to be a metropolis with fine shopping, culture and nightlife, but nevertheless small enough to be intimate and safe. Hygge is the keyword– it describes something between friendship and cozy – it is all about the atmosphere. Here you will certainly feel comfortable and at home. 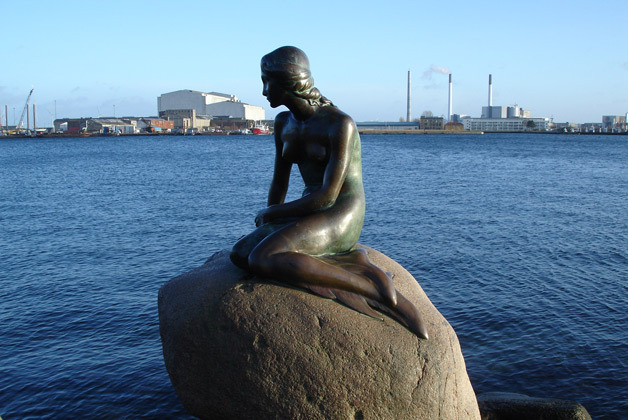 With Farol Copenhagen in hands, you won’t miss any of Copenhagen’s many points of interest, from the world wide known Little Mermaid to many other non less special hidden treasures! 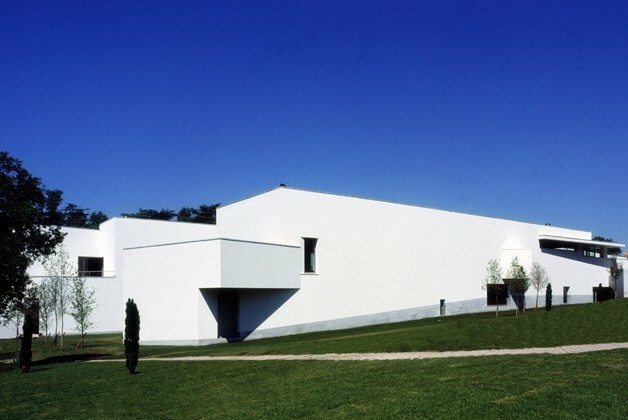 Located 30 km south from Frankfurt, Darmstadt is the home town of Farol City Guides and where it's technology is developed. A city of science, with several research institutions and innovative industries, but also rich in culture, art and history. 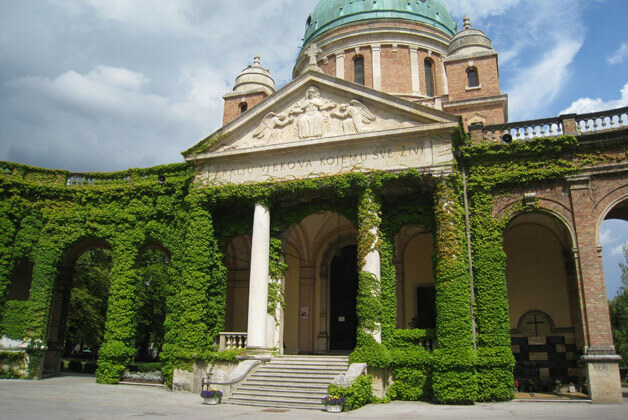 Once the residence of Dukes and the capital of the state of Hesse until the end of the WWII, it was at the beginning of the 20th century a centre of reform movements. 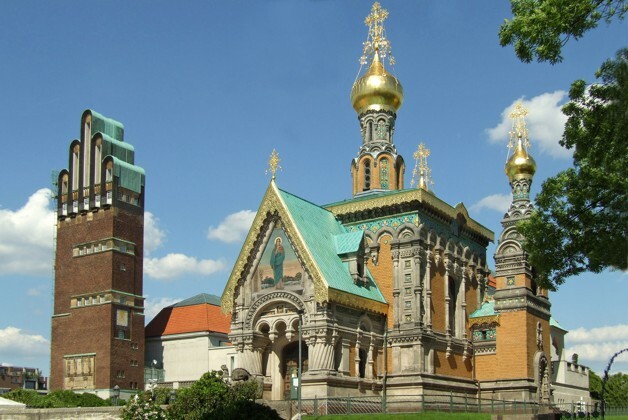 With the Mathildenhöhe artists colony and Jugendstil style, Darmstadt entered on the international map of art and creativity. 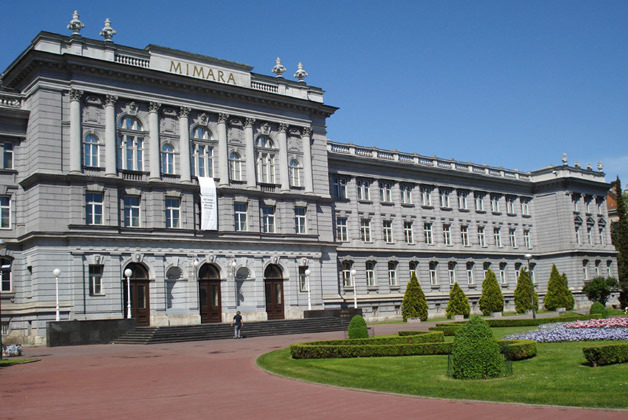 Devastated during the World War II, the city managed however to reborn and recreate itself. 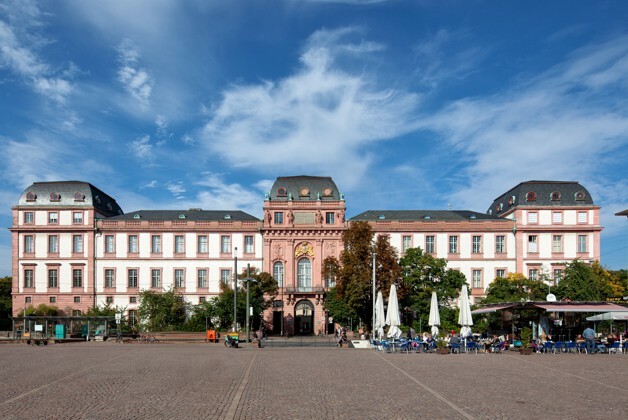 The constant looking forward will continue to make Darmstadt an interesting destination to visit, which is further enhanced by the city's perfect geographic position at the centre of Europe. 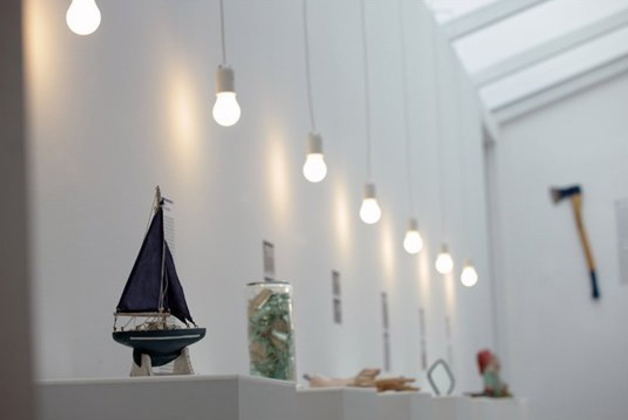 Get to know our home city with Farol Darmstadt in hands during one of your business travels and be surprised with its hidden treasures! The international financial centre in the heart of Europe. 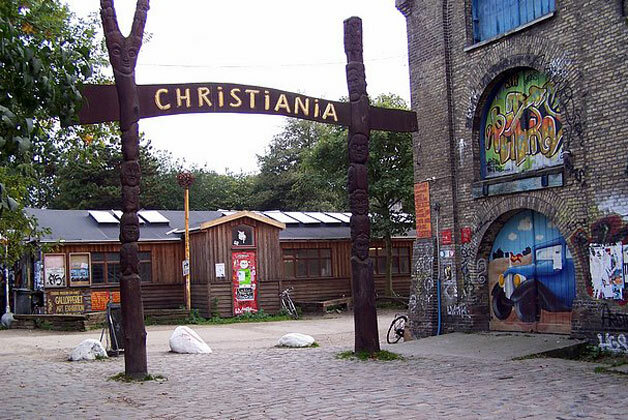 With the city’s premier sight - the unique and most imposing skyline in Germany - this is the image that many visitors associate with the Main metropolis. 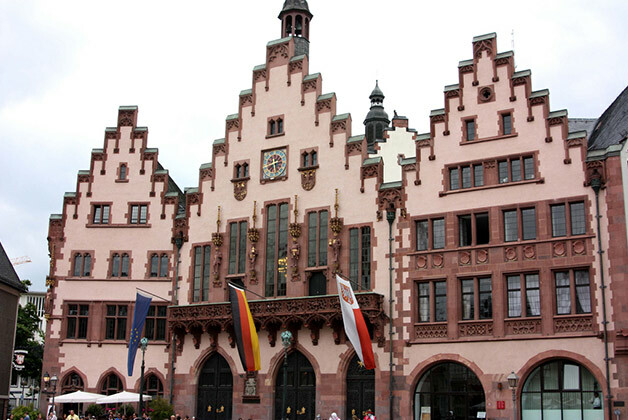 But there is plenty more to visit in Frankfurt. 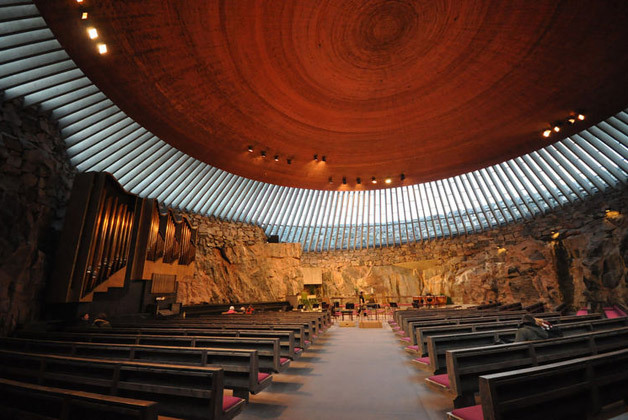 The Römer, St. Paul’s Church and Frankfurt Cathedral are all absolute must-sees. 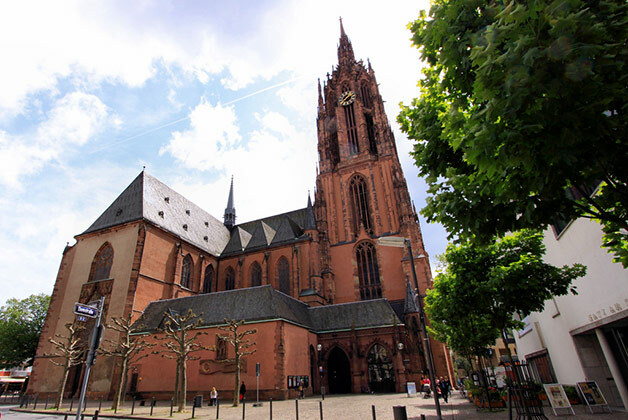 The last two, Kaiserdom (Frankfurt Cathedral) and the Paulskirche (St. Paul’s Church) are part of the foundations of German democracy. 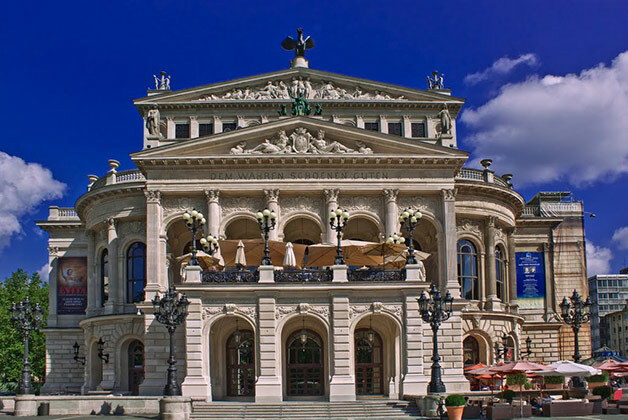 Yet Frankfurt is not only proud of its famous buildings, but its most famous son, writer and statesman Johann Wolfgang von Goethe, is also to be found here. 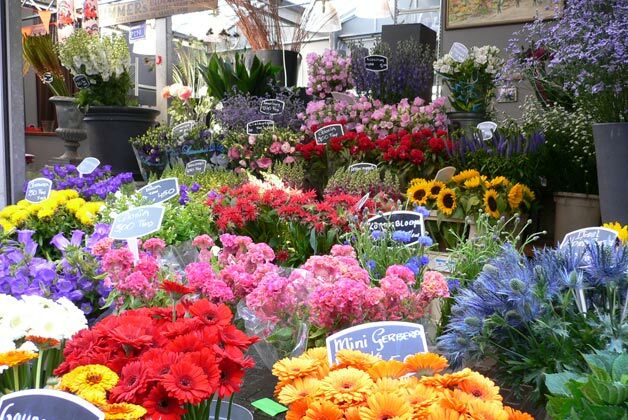 If the hustle and bustle of many tourists are not your thing, you can find near to the skyscrapers cosy Ebbelwei pubs or you can take a relaxing walk down to the majestic River Main and watch the “Gardens of Nice” with all forms of Mediterranean flora. 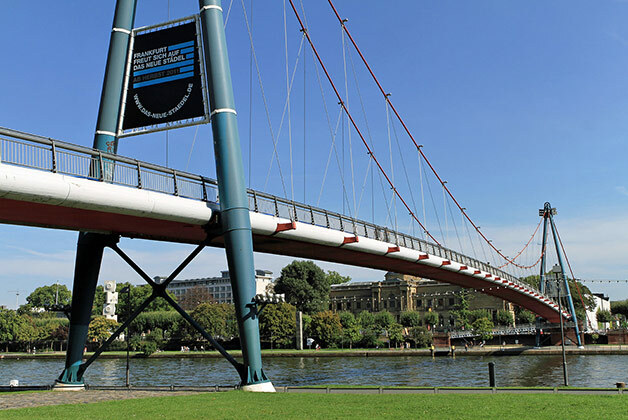 Interesting places for visits in and around Frankfurt using Farol Frankfurt will turn your stay into a lovely experience. 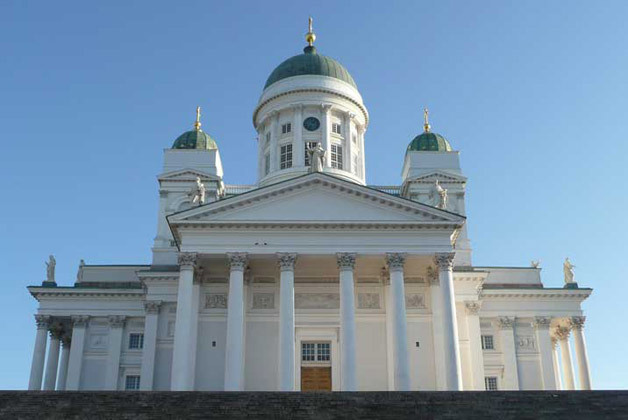 Helsinki, the "Daughter of the Baltic", has been the Finnish capital since 1812. It is a sea and green town par excellence. 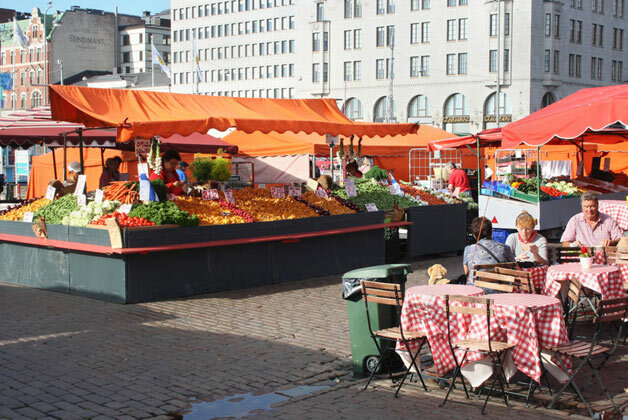 While retaining a small-town feel, Helsinki pulls off the trick of being vibrant with cultural offerings. 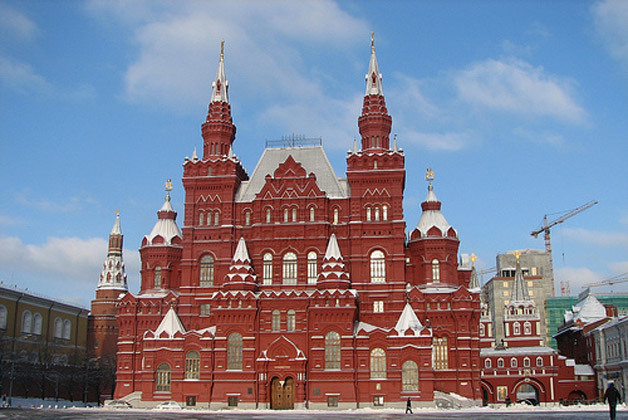 This dual personality is felt in other ranges as well: influences from the East and the West (specially from Russia and Sweden) are both clear in the architecture, cuisine or design. And, from the frozen winter to the blessing sunny summer, the city transforms itself. 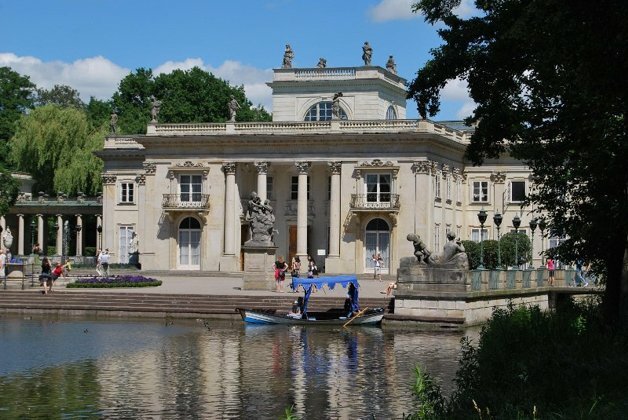 Nevertheless, from the sauna, the glorious Art Nouveau buildings, to the parks and waterside hangouts, you will have always something different to do and see. 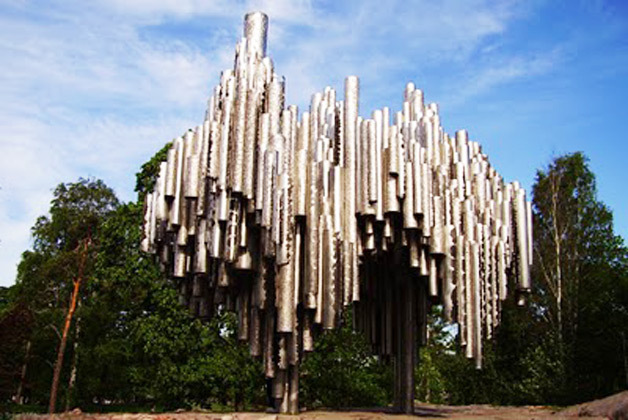 Another good news is that most of the Helsinki’s tourist attractions and hot spots are within walking distance from each other, therefore, with Farol Helsinki as your exploration buddy, it will be fairly easy to get to know all of these cool asynchronies. And even if you just have few hours, you can be sure that this app will guide you as never. 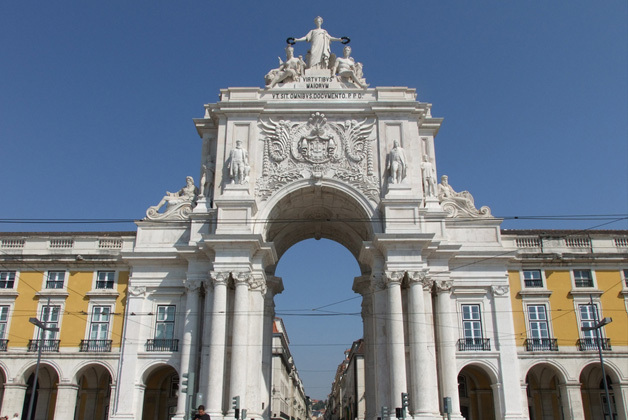 A cultural diverse capital with beautiful and imposing architectural buildings, Lisbon has some of the most picturesque sightings in whole Europe. 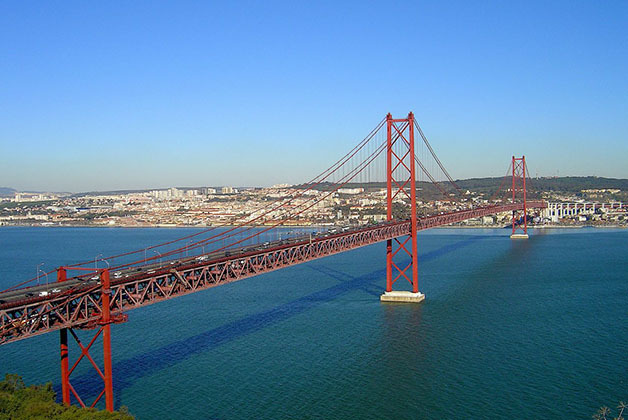 Once an imperial capital of the world, Lisbon has attached ties to the oceans and to the discoveries led in the XVI and XVII centuries, namely when this western corner of Europe borrowed its culture to Africa, Asia and America. 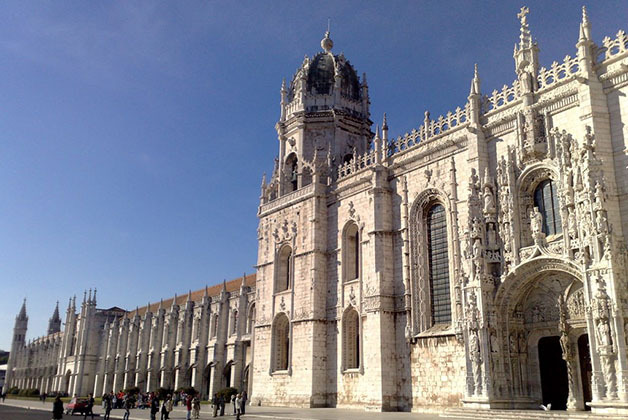 The discoveries also influenced many monuments through its architecture, which can be seen on renowned buildings like Torre de Belém, Mosteiro dos Jerónimos and the São Roque Church. 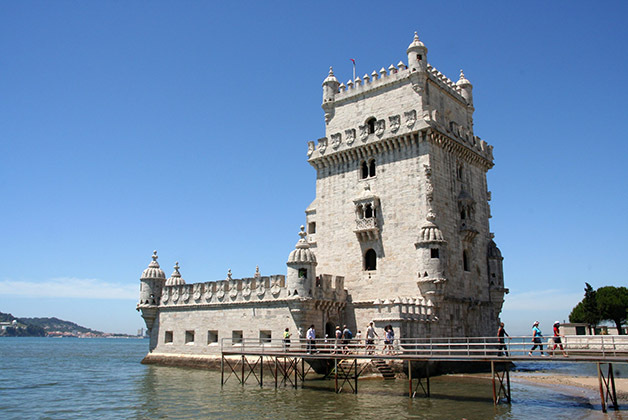 With hot summers and mild winters, Lisbon is an ideal destination for a weekend short-break, presenting to its visitors a thriving night-life and wonderful viewpoints over the city. The city of the seven hills has a few neighbours that look like mazes where fado is sang almost every night at the small taverns and where buzzing seafood and tapas restaurants satisfy the needs of the locals. Feeling already lost with so many things to visit and see? 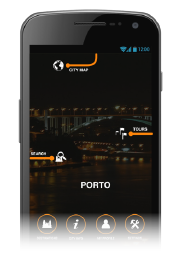 Download the new Farol Lisbon and let your new travel buddy guide you through this historical capital with tailored tours. 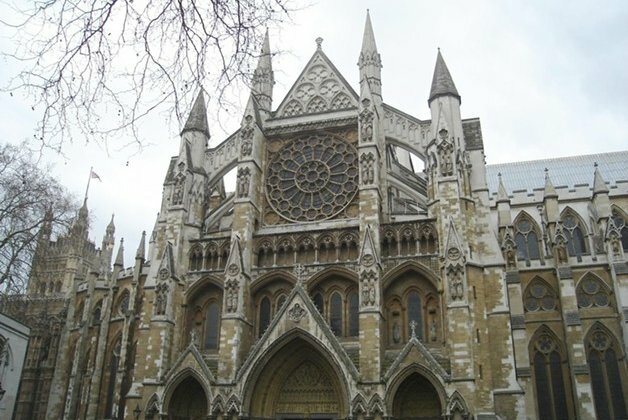 Vibrant, noisy and truly multicultural, London is a cosmopolitan melting pot of people, ideas and energy From its origins in the area today known as "the City", the capital expanded over the centuries to include the surrounding areas, each of which maintain their own distinctive character. 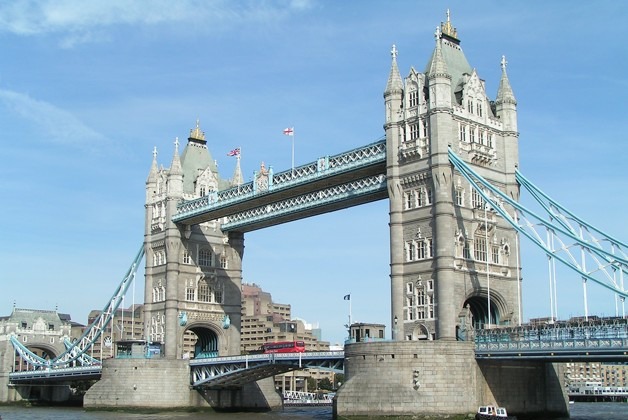 Although the spicy melting pot, London still keeps its British essence, whether it’s those boxy black cabs, the red double deckers or those majestic symbols of Britain – the mother of all parliaments at Westminster, the silhouette of Tower bridge above the muddy Thames or the modern world-famous London Eye. 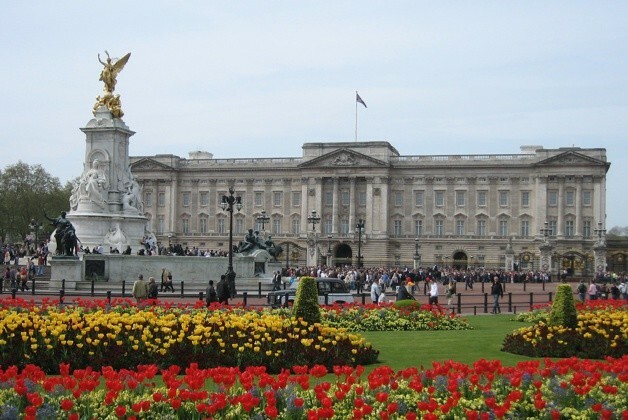 London is without doubt a symbol of culture, fashion, finance, tourism and trade. 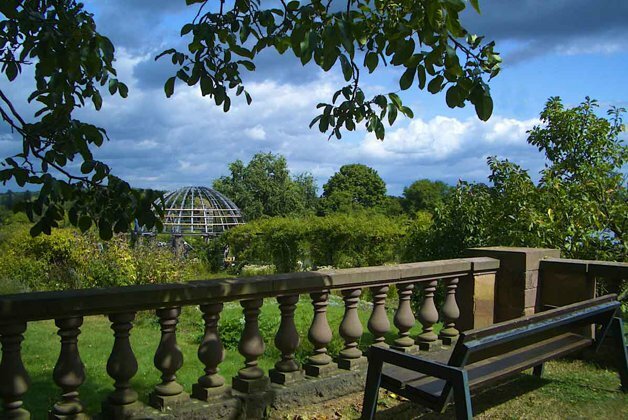 Farol London travel guide will unveil the most relevant places the city has to offer, whether if you are on a business trip or just going for a shopping weekend in the city. 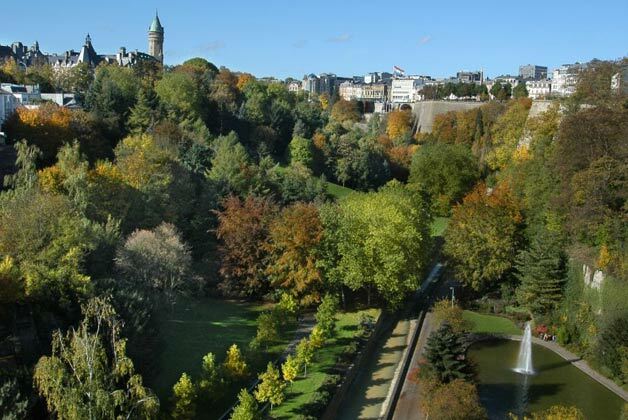 The economic dynamism of Luxembourg makes it one of the most attractive financial centers in Europe. 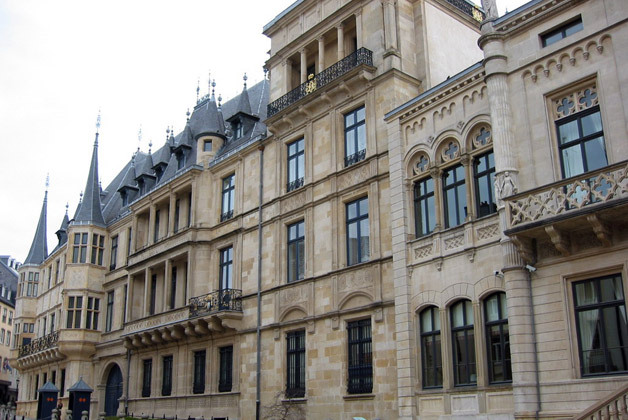 Nonetheless, the Grand Duchy's capital is much more than banks and EU offices. Classified as UNESCO World Heritage, the Old Town is an unexpected gem, thanks largely to its unusual setting, draped across the deep gorges. 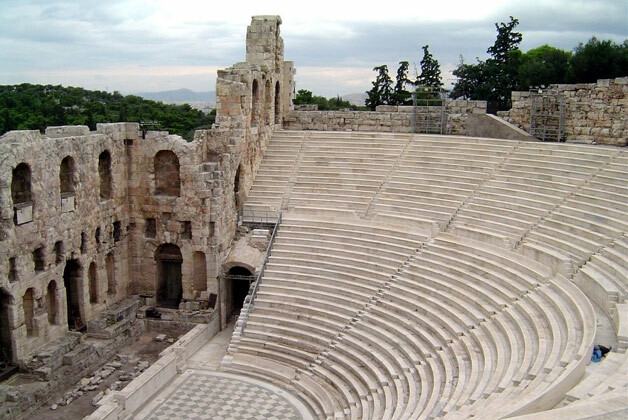 Furthermore it is a very cultural city whose artistic facilities are dynamic and varied, in the image of its city inhabitants: multilingual, multicultural, creative and eclectic. Lastly, a high share of the city territory is reserved for parks and forests making the touring experience pleasant and healthy. 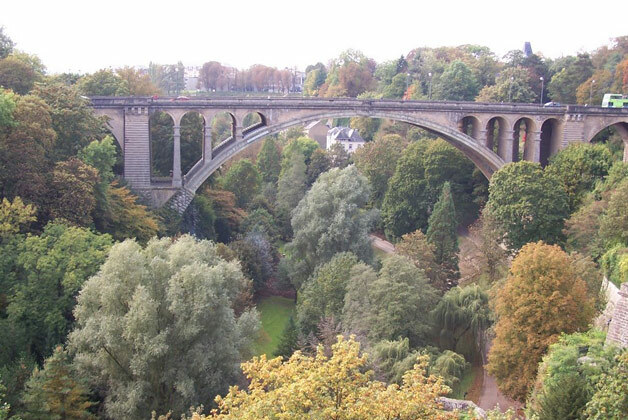 Discover the attractive reality of Luxembourg City with Farol Luxembourg guide and intelligent tours on your next city break trip! 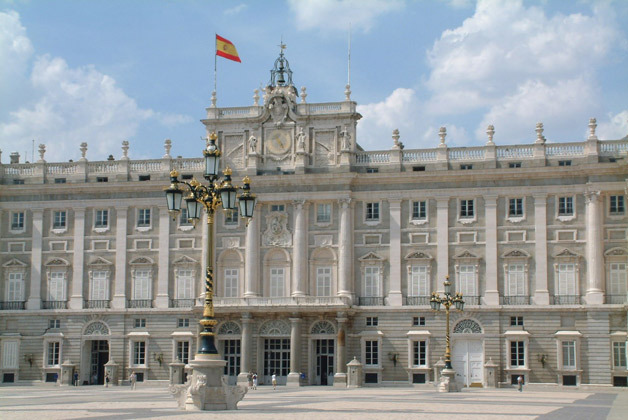 It is difficult to point what makes Madrid so unique, in reality the whole city is worth seeing. It is the capital of one of the most passionate countries in Europe, which translates on a city that really knows how to live. 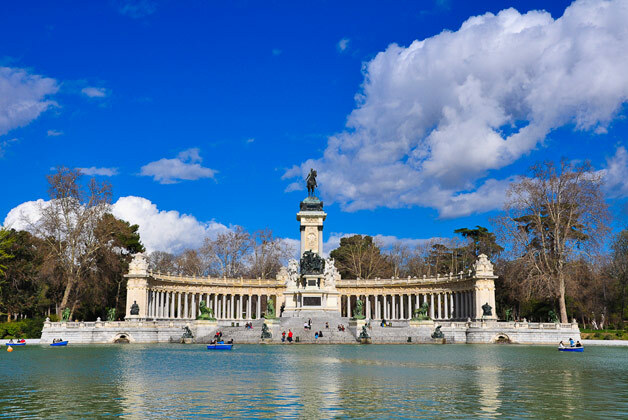 The historical heart of Madrid has no silent hours and no stagnant areas – for example, it boasts some of the liveliest nightlife in the world. 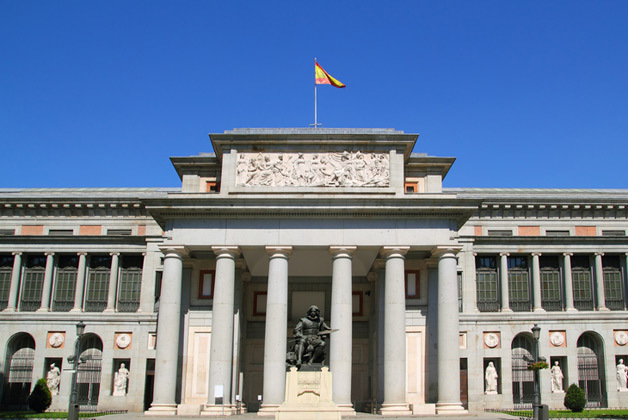 It is also the city of Prado, Reina Sofía and Thyssen-Bornemisza (world renown art museums), and the home town of talents such as Goya and Velázquez. 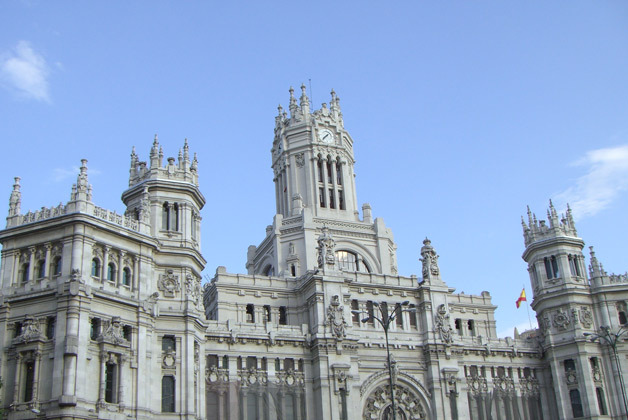 Madrid is a place where anything can happen and the best way to discover it is to drift around and wander through its streets. 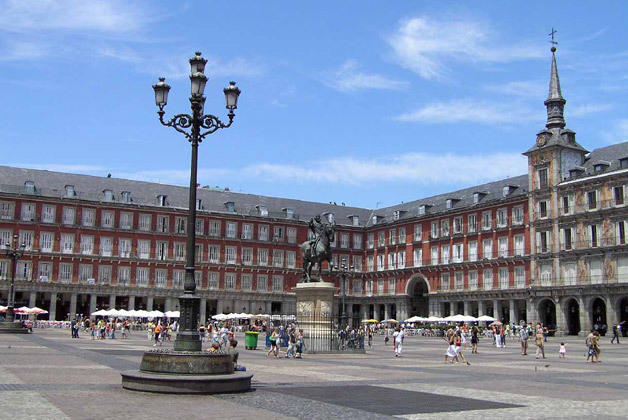 Nevertheless, you should not do it aimlessly: Farol Madrid will help you find some very personal sights worth seeing. 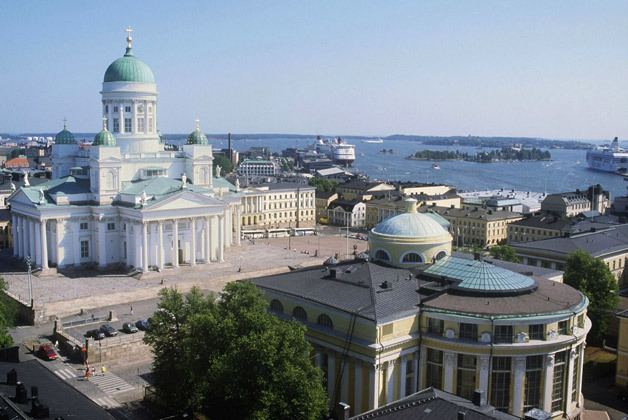 A city of superlatives – with almost 20 million inhabitants it is one of the largest metropolitan cities in the world. 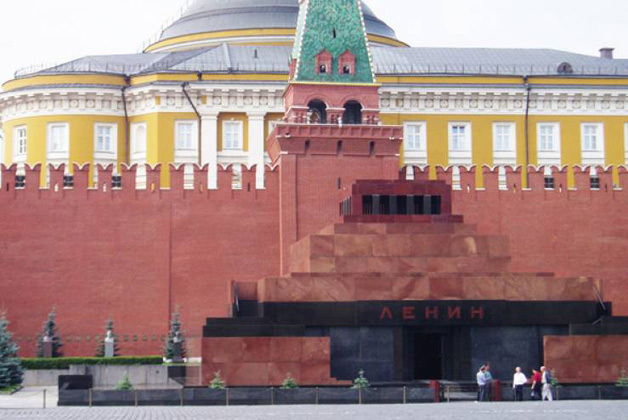 It is like an exaggerated version of everything there is to Russia, with all its contrasts. 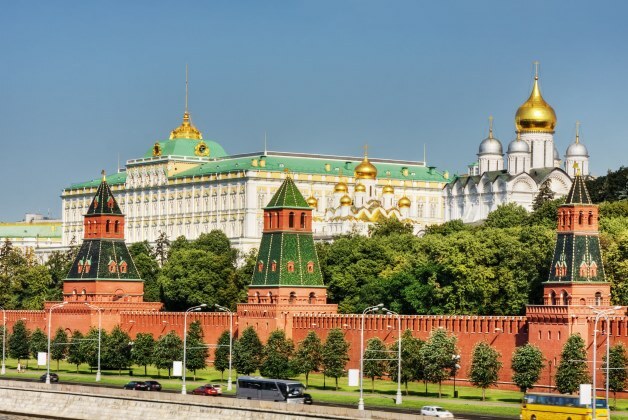 The mediaeval Kremlin side by with modern skyscrapers, neon-lit advertisement competing for attention with the monumentality of the Stalinists structures, shiny new black luxury cars and old Ladas sit in the same incessant traffic jam. This is the city where one can go to sleep poor and wake up rich and where the VIP has become an obsession. 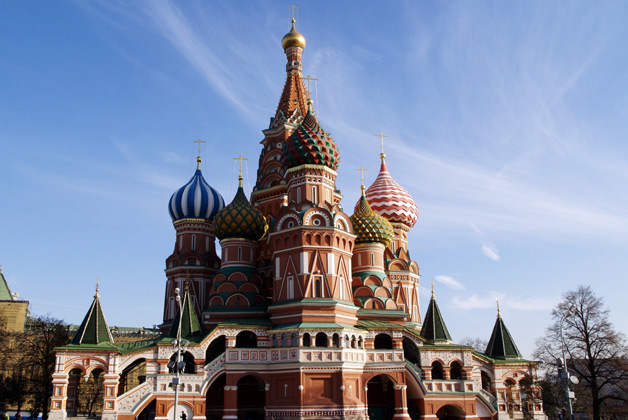 According to Forbes 2013, Moscow has the largest community of billionaires in the world. 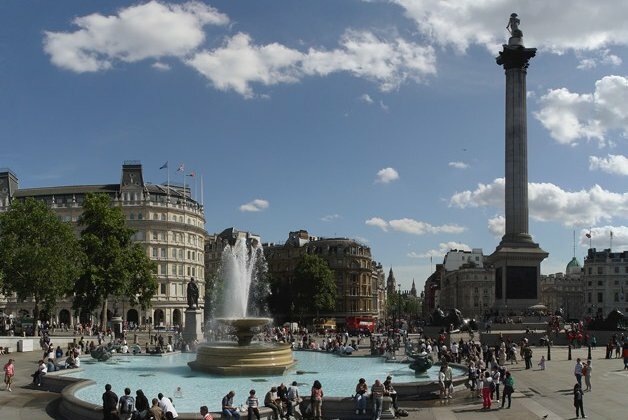 It is regarded as a major business and financial centre, but it is not less of a cultural and tourist destination, drawing attention from investors, artists and travellers in equal measure. Yes, visiting this metropolis can be challenging. Yet, Farol Moscow will your perfect buddy and will make sure to turn your visit in an exciting and enriching experience. 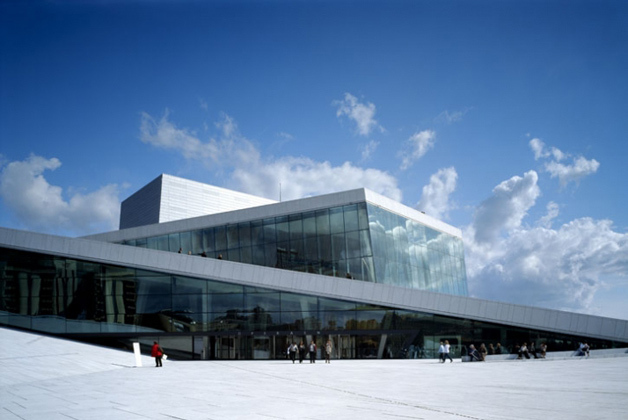 Oslo is the capital of Norway, appropriately associated with many adjectives: the Viking city, the winter capital, the city of green hills and stunning fjords. It is a major maritime hub in Europe and the economic centre of the country, but manages to keep a magic combination of city life and easy access to the great outdoors. That is probably why it is constantly on the top rank in terms of quality of life among large cities and it attracts more and more people. 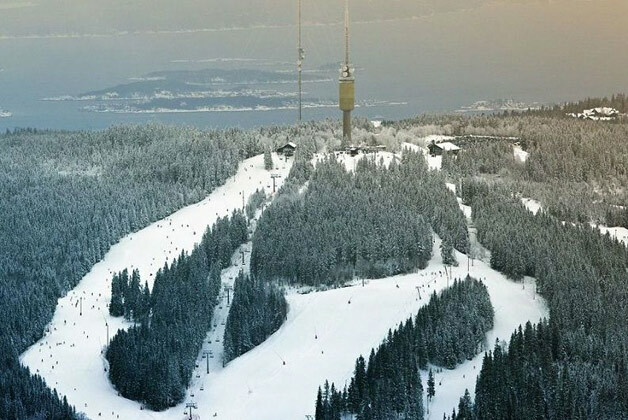 Whether you come here for business or for the breathing some of the adventure it encloses, Farol Oslo will guide you to soak in the beauty of the Vigeland Park and/or feel the wind as you ski down the snow covered slopes of the Tryvann, among others! The world's most popular city destination! 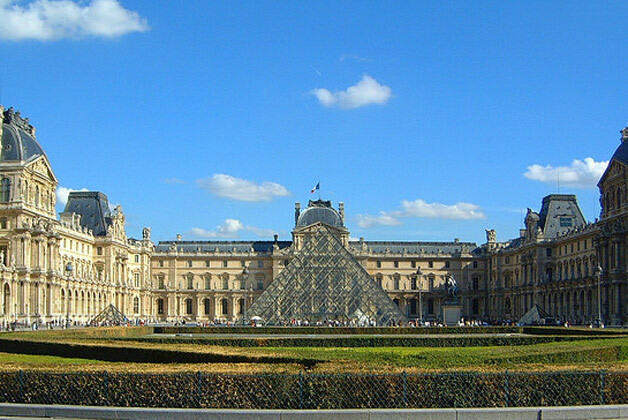 Besides some of the world's most famous museums, Paris has a vibrant historic city centre, a beautiful riverscape, thousands of historic monuments, including cathedrals, chapels and palaces, and four UNESCO World Heritage Sites. 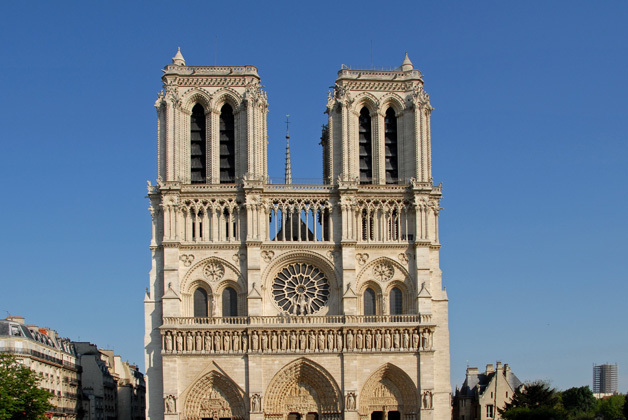 The most famous attractions include Notre Dame de Paris, Basilique du Sacré-Cœur, the Louvre, the Eiffel Tower, the Pompidou Centre, Musée d'Orsay, Champs-Élysées, and the Arc de Triomphe. 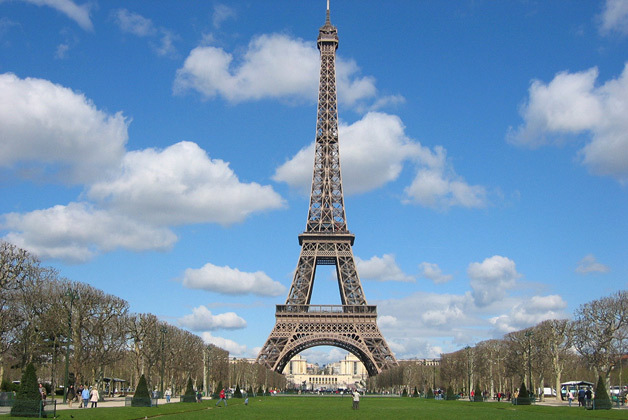 Paris is also famous for its cafés and restaurants, its theatres and cinemas, and its general ambiance. 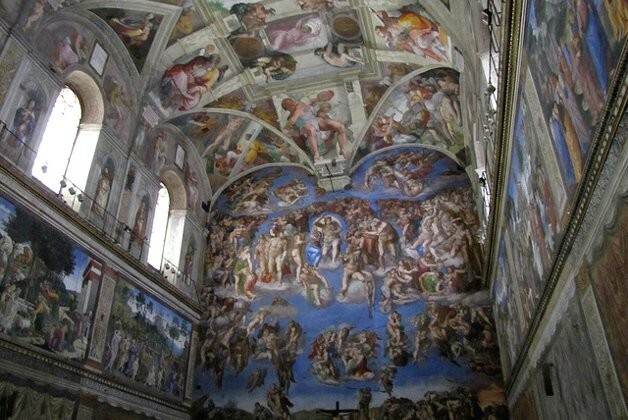 Furthermore, it remains vastly influential in the realms of culture, art, fashion, food and design. 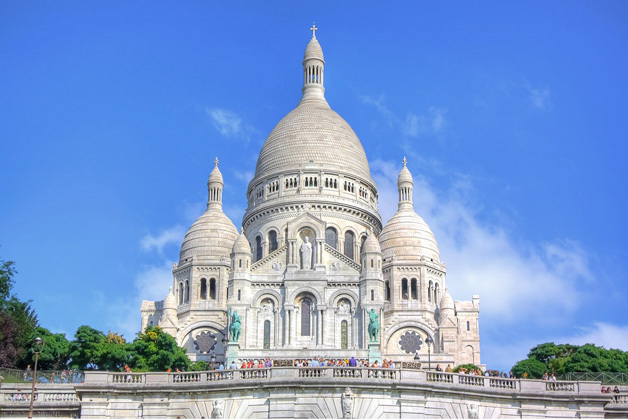 With 2.2 million people living in the central city, it is definitely a lively cosmopolitan metropolis, but nonetheless it has been able to retain the French charm. Are you coming to on a romantic escape? On a cultural weekend? Shopping excursion? Business trip? 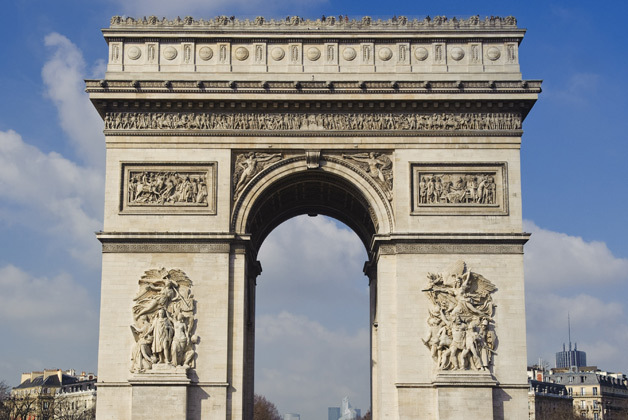 Anyway you can get to know all the famous attractions and also stroll off the beaten path with Farol Paris. 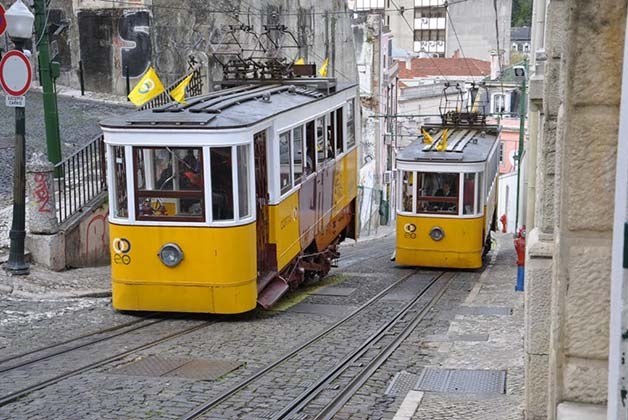 Porto is one of the last undiscovered metropolis in Europe but it is becoming a very cosmopolitan urbe. But this is not a new city. 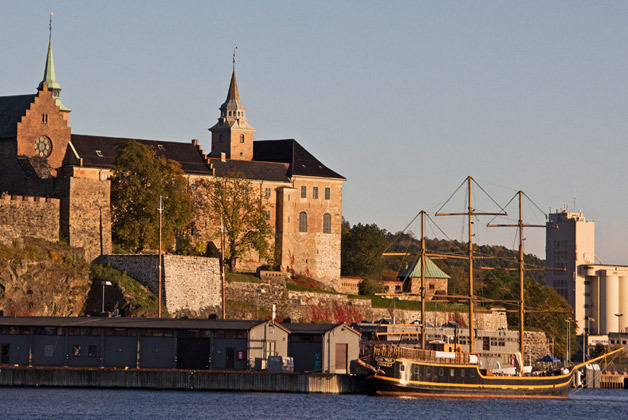 It is an ancient port steeped in history and tradition and a UNESCO World Heritage place. 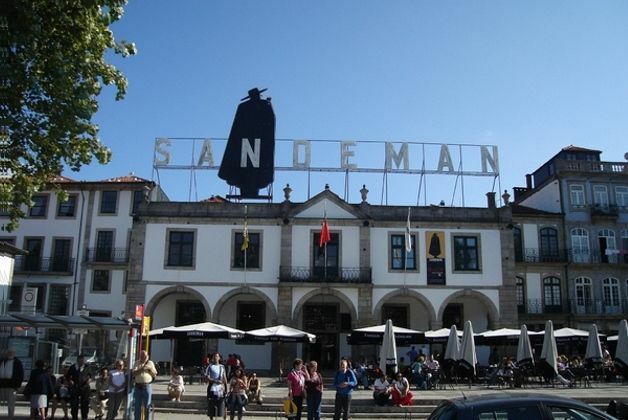 It is a highly atmospheric place that has become known for its monuments by renowned architects (Gustave Eiffel's Dona Maria Bridge, Nicolau Nasoni's Clerigos Tower, Rem Koolhaas' Casa da Musica, or Siza Vieira's Serralves Museum) but when you think you don't know much about this city, think again. 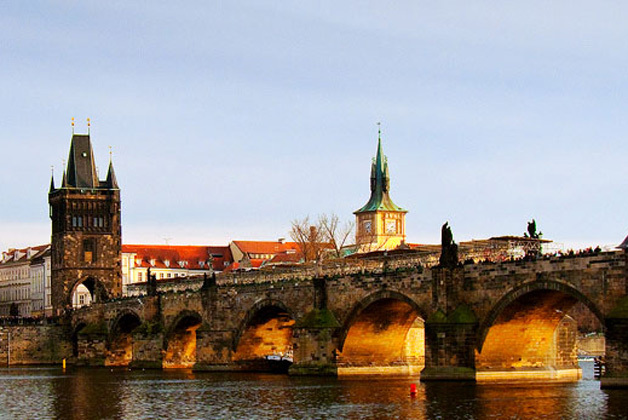 This is the city that originated and named Port Wine, and gave birth to one of the world history's legendary figures, Prince Henry the Navigator. 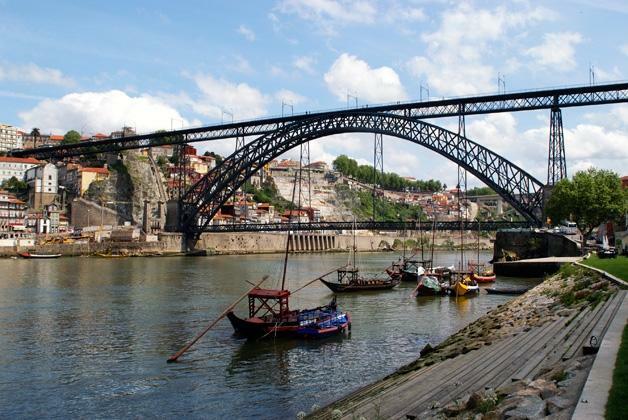 These are just a few curious facts about Porto. 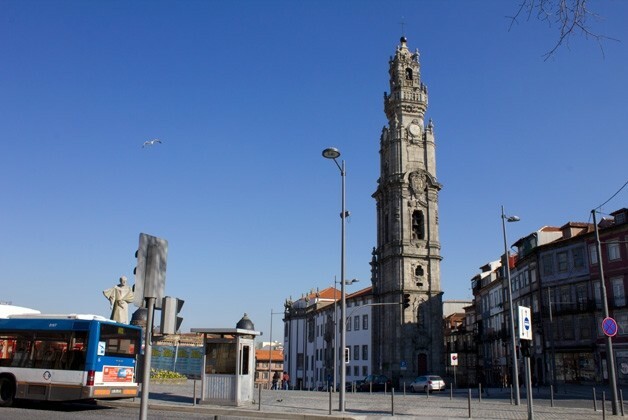 Farol Porto travel guide will accompany you through this intriguing and majestic city. 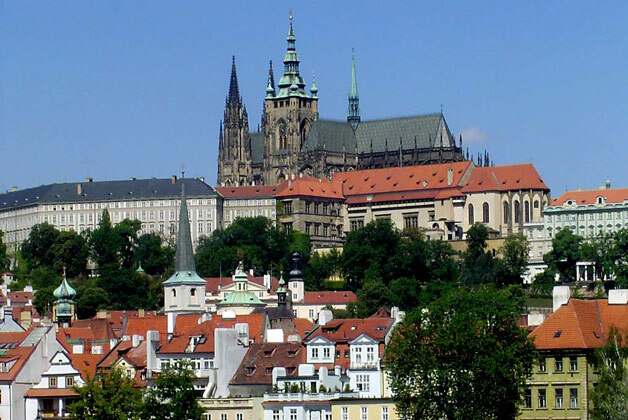 Prague is one of the most beautiful cities in the world. 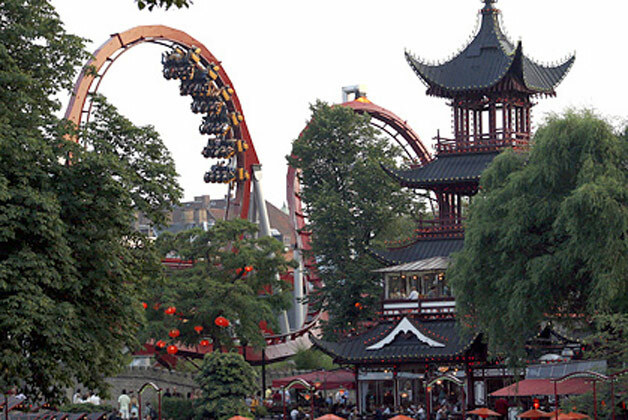 It is called the “Paris of the east” – they are equals in terms of beauty! 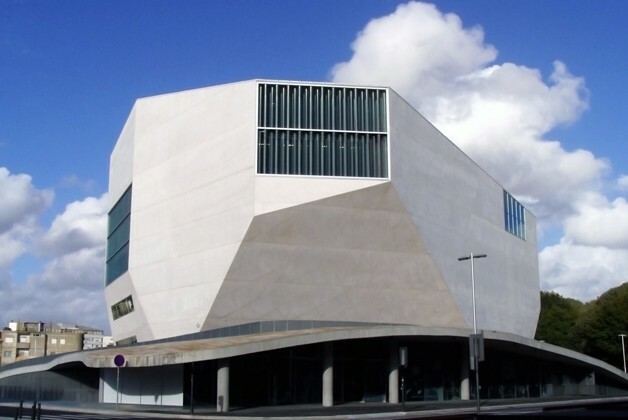 The stunning architecture includes Gothic, Barroque, art nouveu and cubist façades. 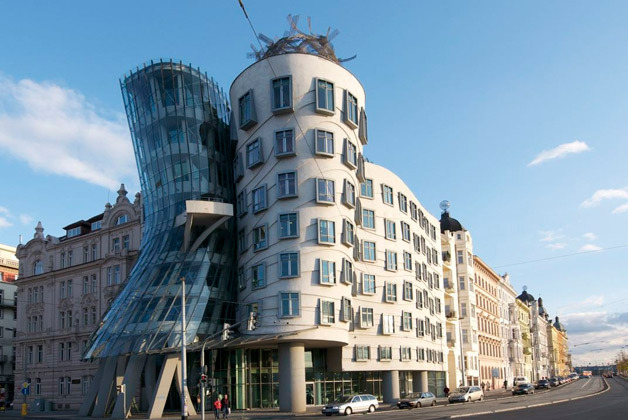 Millions of tourists visit this metropolis every year but even the crowds can’t take away from the spectacle of the lanes you know from the novels of Franz Kafka. To complement, there is wit and weirdness in equivalent measures – check how David Černý’s statues punctuate Prague's public spaces. The cherry on top of the cake is world's finest brews and a wonderfully relaxed drinking culture. 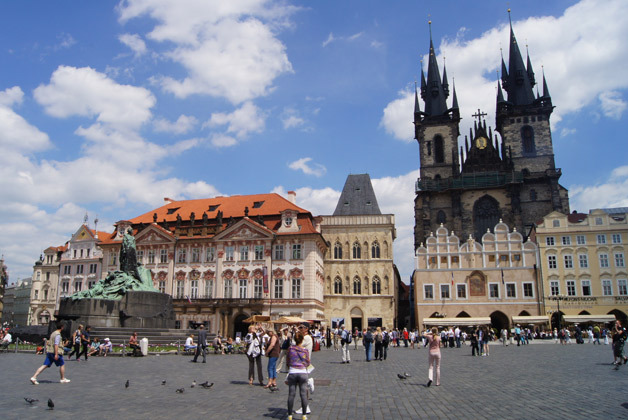 It is time to get acquainted with this gem of a city and you can now do it easily using Farol Prague! 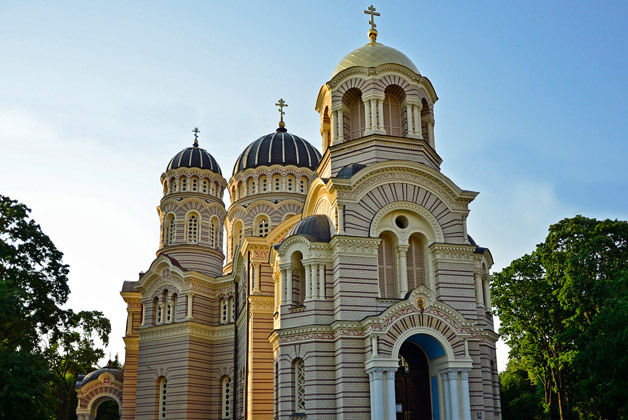 Riga has for a long time given many treasures to the culture of Europe. 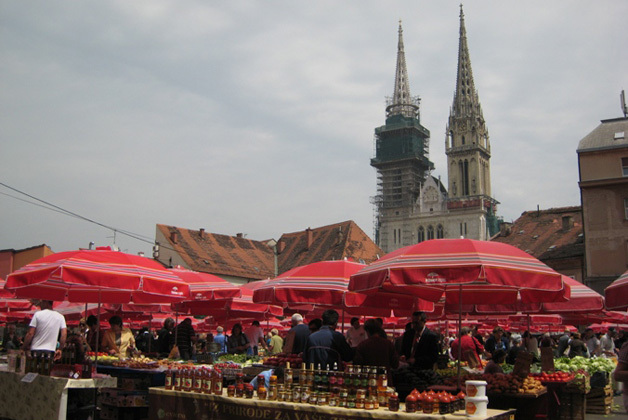 They include the Unesco World Heritage Old Town, Art Noveau and wooden architecture. 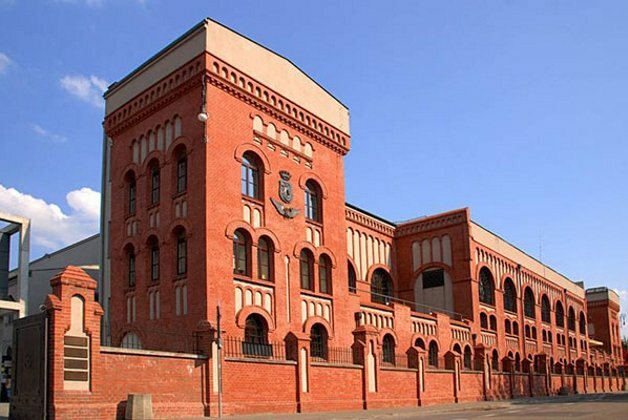 A related value is the multicultural environment that has been characteristic all across the city’s history, since people of several nationalities have lived here at the mouth of the river Daugava – Latvians, Germans, Russians, Polish, Swedish, Finns and others. 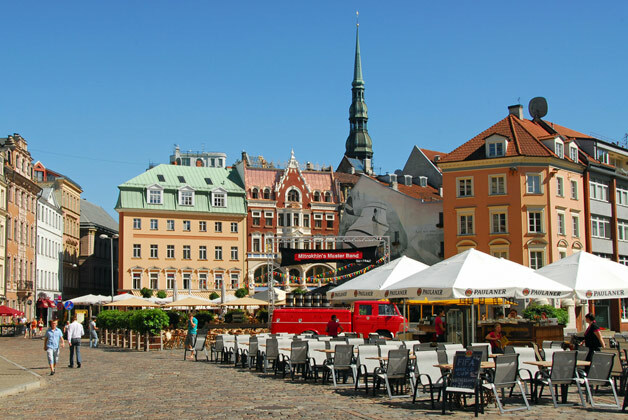 Riga has always been the most vibrant city of the region – a metropolis with a big-city atmosphere hard to find elsewhere in the Baltics. 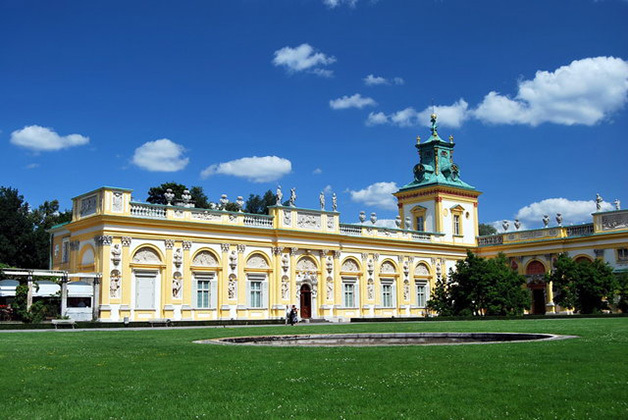 With timeless elegance and a fusion of the new and the old, this new cultural epicentre of Europe will for sure surprise you. 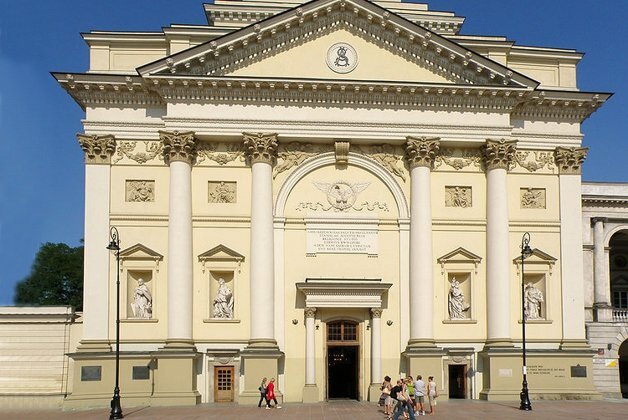 Farol Riga will guide you painlessly and smoothly and let you know all its history twists visible through the ancient buildings. 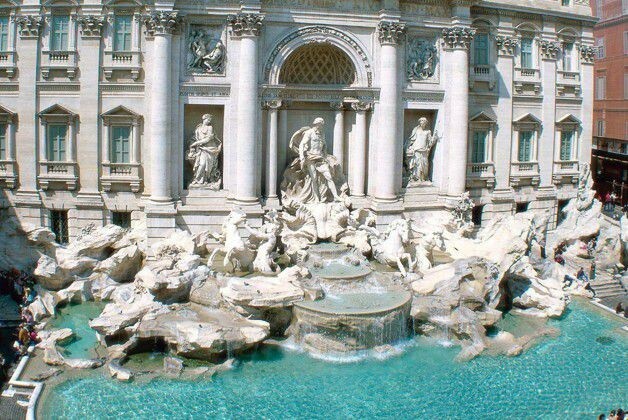 Founded 2700 years ago, the city of Rome long reigned as ‘Caput Mundi’, or Capital of the World. 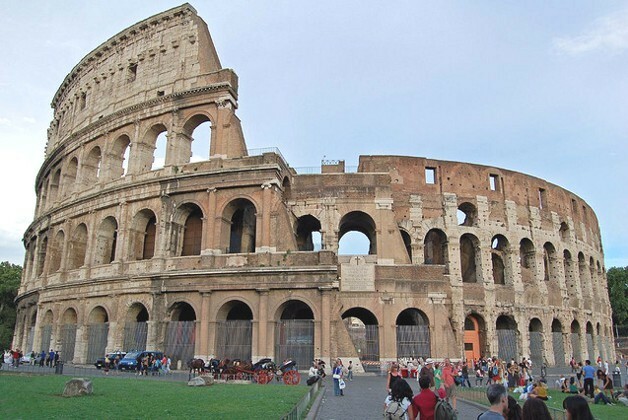 Monumental buildings like the Colosseum or the Foro Romano are reminiscent of the era when emperors like Nero and Trajan ruled the Roman empire. 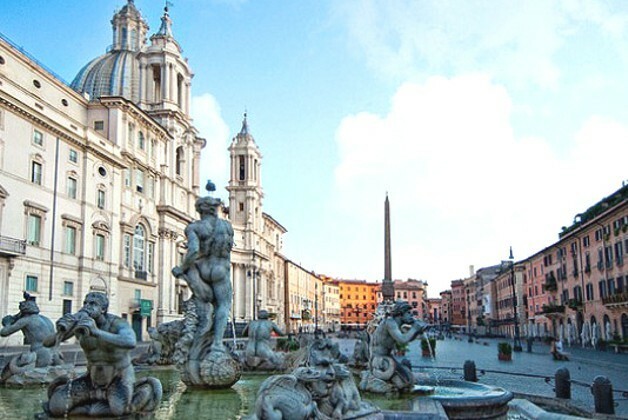 But today's Rome owes much of its attractiveness to the Renaissance period when new squares like Campidoglio were created and new buildings were constructed including the world's largest church, the Saint Peter's Basilica. 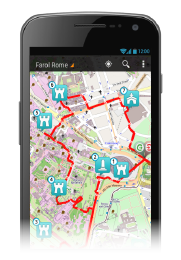 With “Farol Rome” travel app, you will enjoy more than 3000 years of history, the taste of a great food and much more. 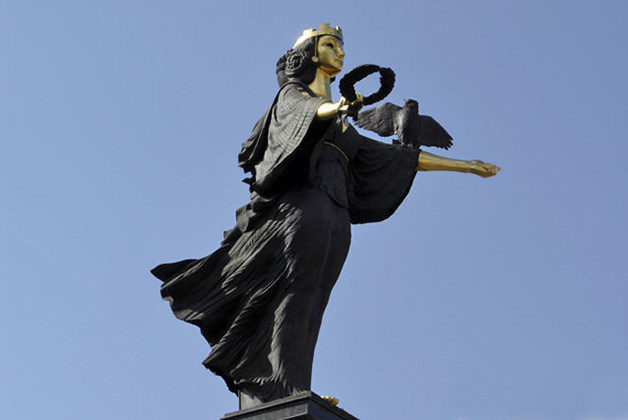 Lying at the foot of mountain “Vitosha” and surrounded by sprawling parkland, the capital of Bulgaria unveils a historic path that stretches over seven millennia. 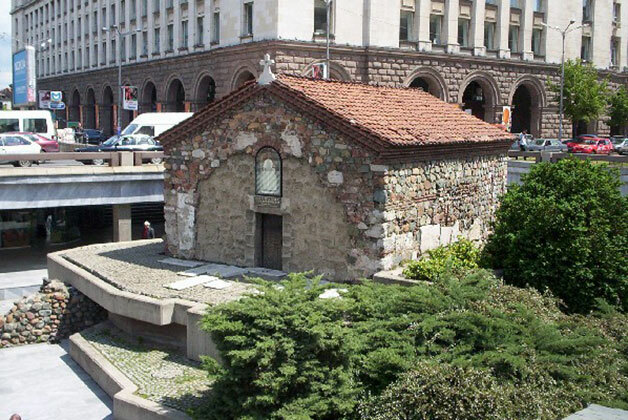 Ruin-rich Sofia is one of Europe's oldest cities. Although still in economic and social transformation, Sofia is today a largely modern, youthful city, while its old east-meets-west atmosphere is still very much evident, with a scattering of onion-domed churches, Ottoman mosques and stubborn Red Army monuments sharing the skyline with vast shopping malls and glassy five-star hotels. Of course, the Communist influence still pervades in the city. 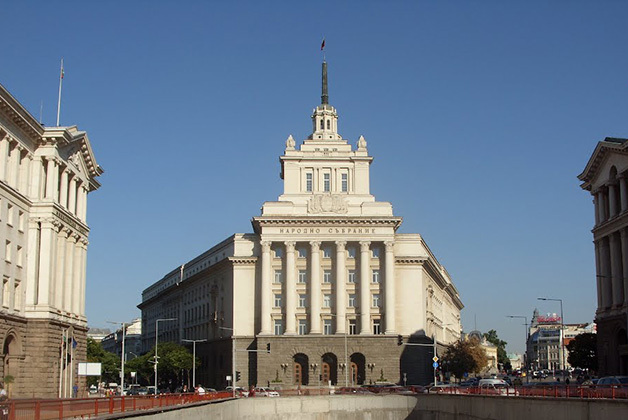 The country’s relatively short occupation from 1945 to 1989 is still visible in its neo-Stalinist architecture. Sofia's grey and blocky architecture lends a lingering Soviet tinge to the place, but it's also a surprisingly green city. 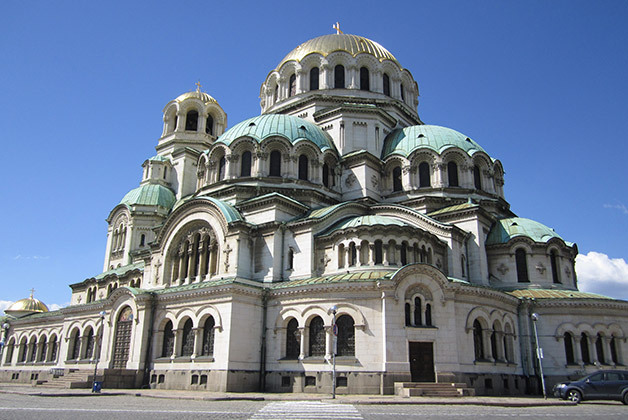 Home to many of Bulgaria's finest galleries, restaurants and entertainment venues, Sofia may persuade you to stick around and explore together with “Farol City Guides”, official travel app of the Municipality of Sofia. 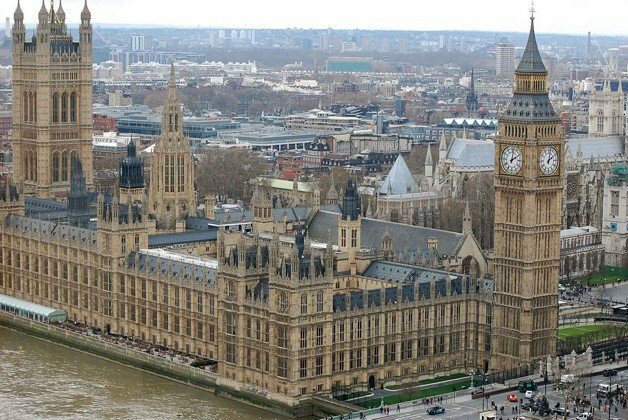 This is the capital city of a progressive and dynamic western-orientated country. 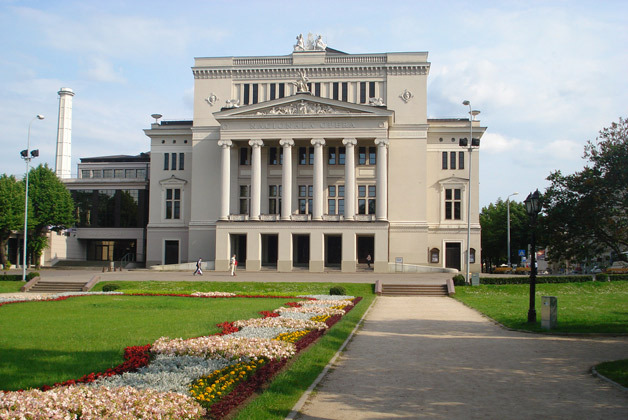 Warsaw's mixture of architectural styles reflects however its turbulent history. By the end of World War II it lay destroyed, the result of random bombing and planned destruction that left nearly one million dead. Yet spirited survival runs rich through Warsaw's veins and today it is once again a thriving city. Warsaw was hardly rehabilitated after 1945, and became what is today a city of steel and glass office blocks and streamlined hotels are rising. Amid this forest of cranes and skyscrapers, it's still possible to see glimpses of another city behind the boomtown façade. 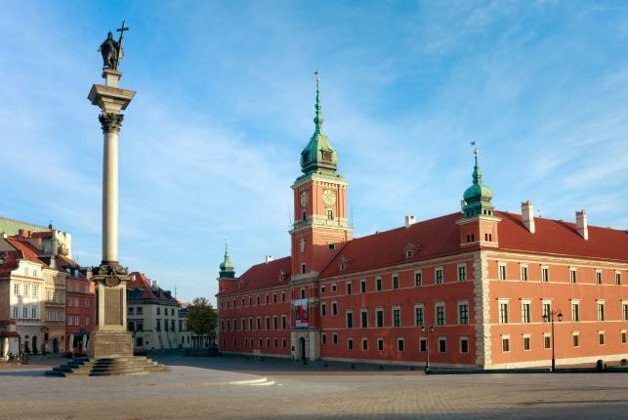 When it comes to the best places Warsaw has to offer, Farol City Guides travel app will be there for you! 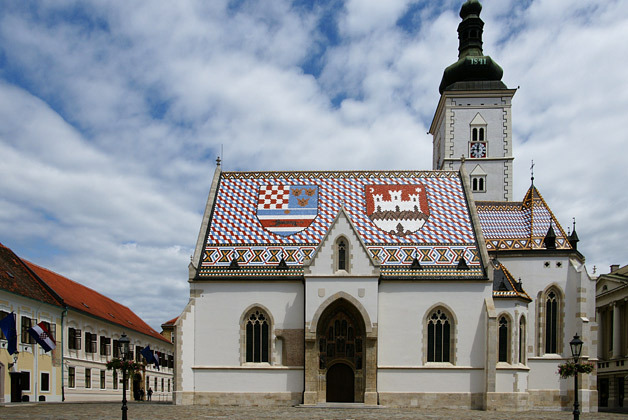 The capital city of Croatia, and most recent member of the European Union, is one of eastern Europe's least known treasures. 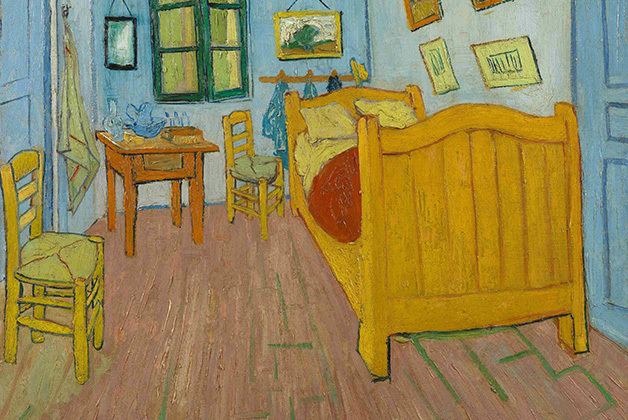 It keeps its hands dipping into both modernity and the old guard. 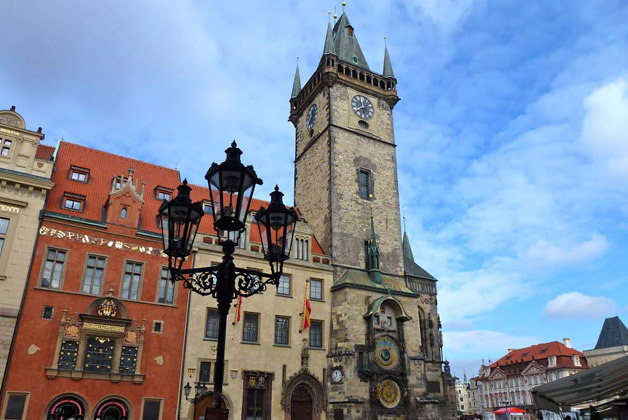 Much of the medieval quarter is still there, and the rich cultural heritage with world-class museums, galleries and theatres won't let you down. At the same time, it transmits a really laid back vibe with lots of young people and outdoor cafe's. 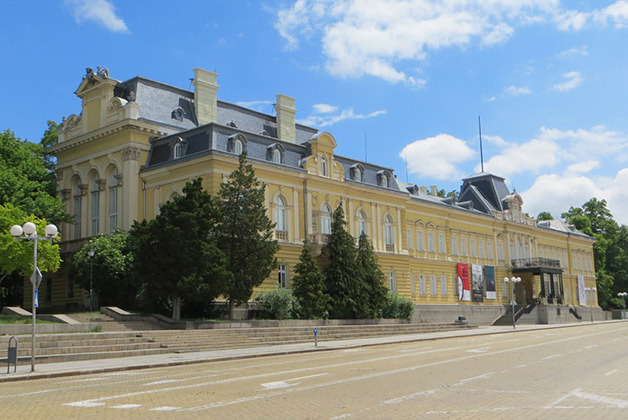 This compact city has a lot of potential and you shouldn't leave it unexplored even if you just have a bit of free time before heading to the golden Adriatic coast or between business meetings. 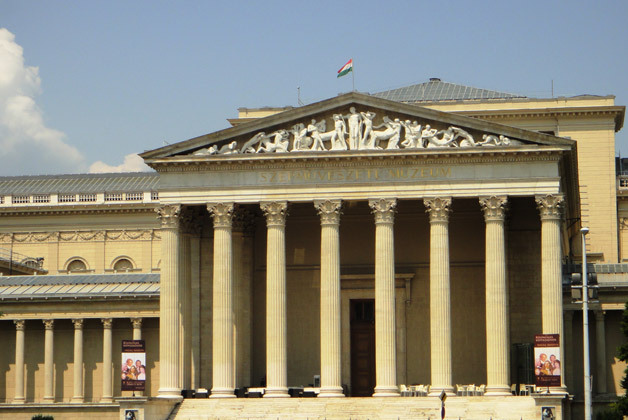 Use Farol Zagreb to help you plan efficiently your visit and be sure not to miss the tourist hot-spots, learning about its history, culture and people.